It’s that time of the year again; the sun is shining and the flowers are starting to bloom, and the Easter holidays are just around the corner. 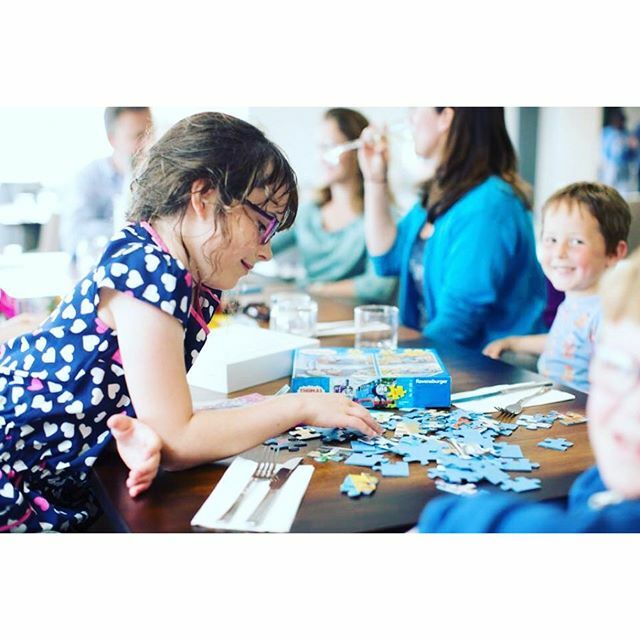 We have some amazing Easter holiday activities to keep the whole family occupied, including the old favourites and some new additions. 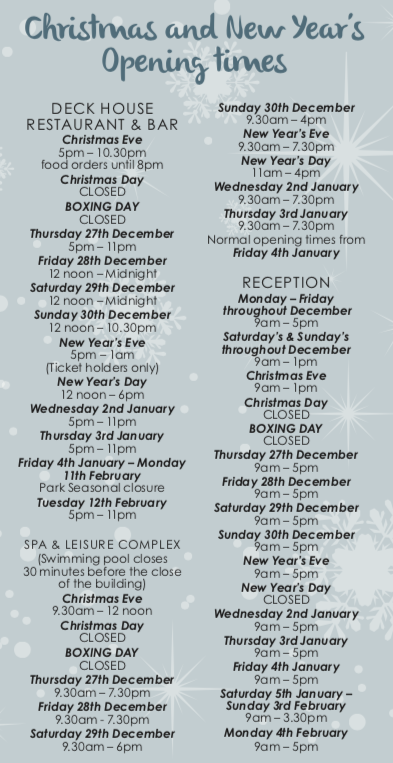 To take a look at our activity timetable please follow the links below. Join us at 10:30am on Sunday 21st April for our annual family Easter egg hunt. 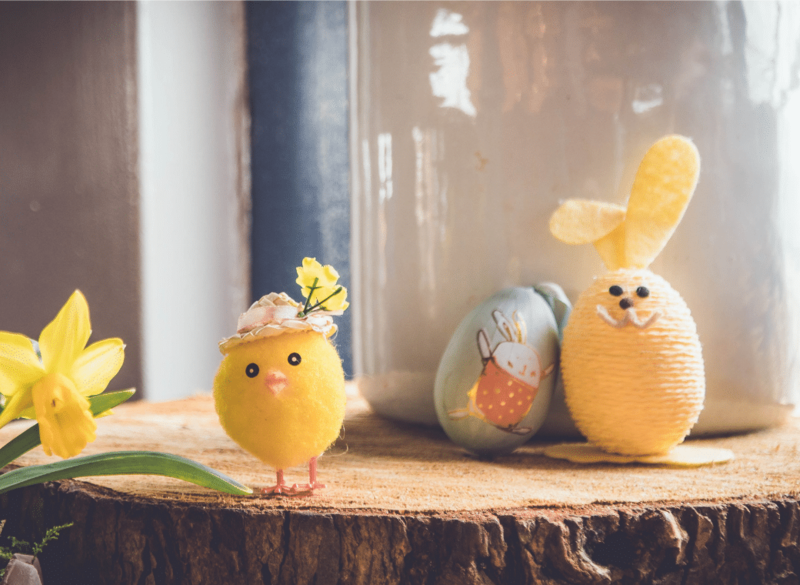 Get your baskets at the ready and round up the family to find as many eggs as you can, carefully hidden around the holiday park. 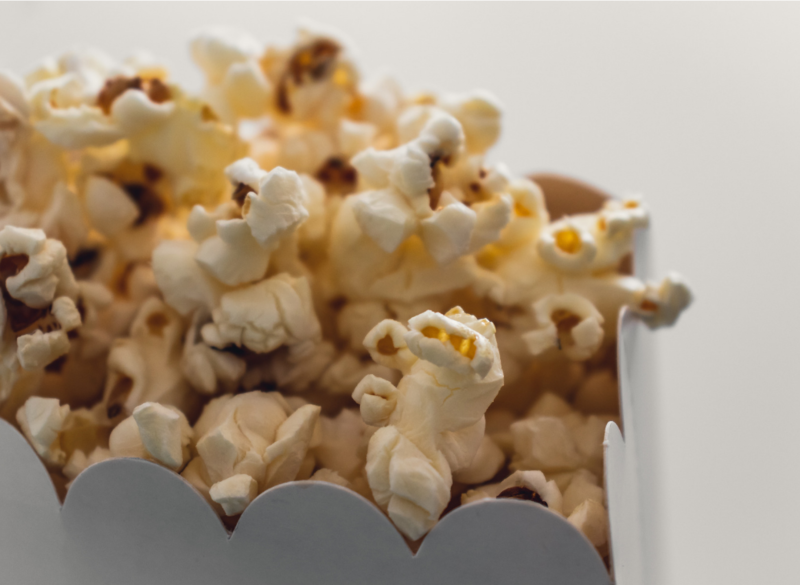 After a day of activities why not kick back and relax at one of our family movie nights. Grab your popcorn and join us every Monday and Wednesday throughout the Easter holidays; films start at 6:30pm. We’ve introduced some new activities this year so you have even more to choose from. Hone your tennis skills or just give the game a try in our tennis sessions, taking place every Monday over the Easter holidays from 11 to midday (up to six years) or 12pm to 1pm (6+ years). Or practise your aim with our family archery sessions, every Thursday 1pm to 2pm (6+ years). 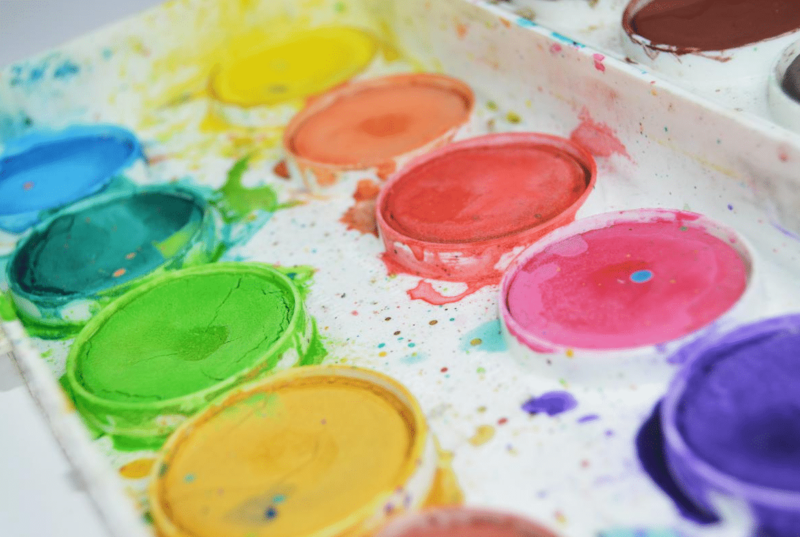 As well as these new activities we’ll also be continuing with your favourites, including soccer school and family football and various arts and crafts activities plus some Easter activities, such as Easter biscuits, Easter cards and Easter sock friends. Don’t forget to book your activities in advance to avoid disappointment and please make sure you or your child meet the age criteria. Booking will be available on our online booking system from 10am the day before the activity is due to take place. Looking for fun things to do in North Wales? Then look no further! We’ve put together the best attractions and places of interest in the area so you can focus on having a good time. Holyhead Golf Club offers one of the best golfing spots in Wales. 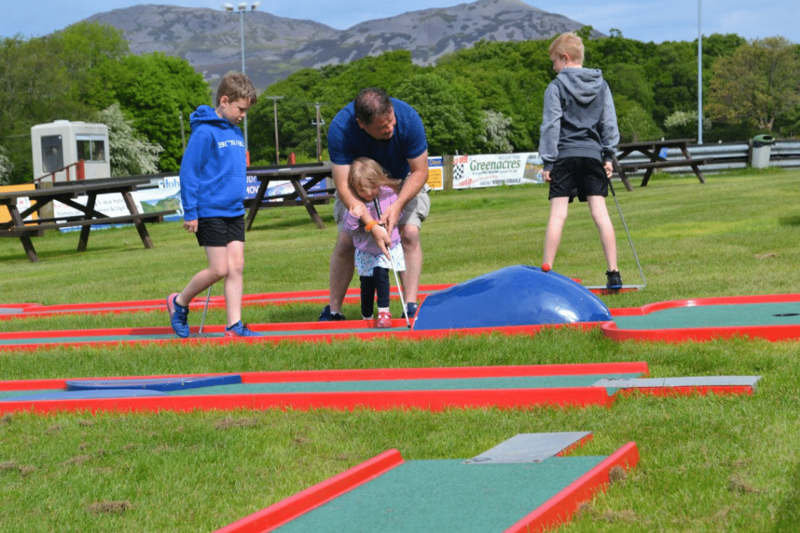 Enjoy fantastic views towards the mountains of Snowdonia while playing the challenging 18 hole championship course. Whatever your level, it’s a great place to hone your golfing skills. 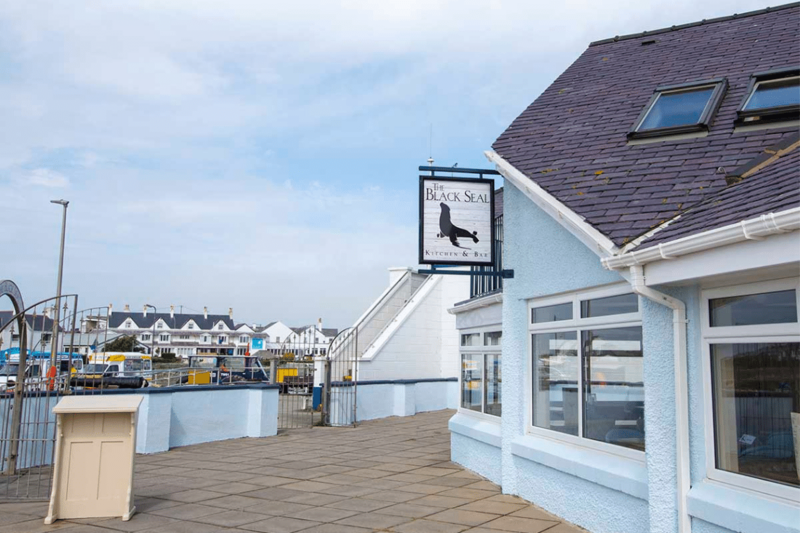 Step back in time at the oldest lifeboat station in Wales, situated on picturesque Newry Beach. 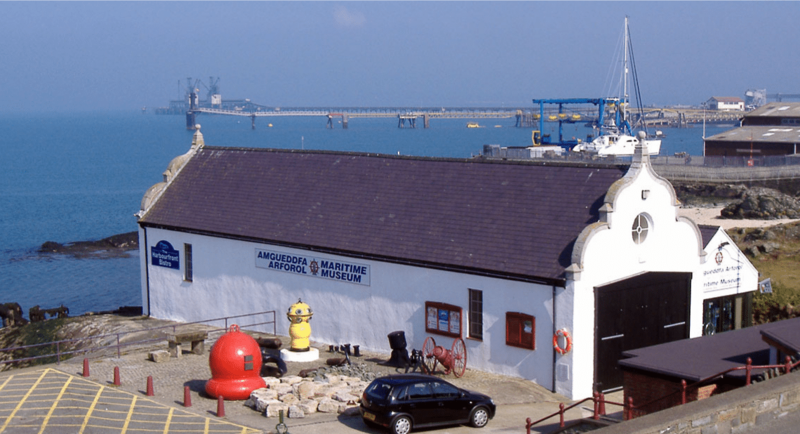 The museum is a fantastic family experience where you can find out about shipwrecks, gallant rescues and pirates. Built in 1809 and reopened in 2017, the historic South Stack Lighthouse is located on a small island 30 metres from Holyhead Island. Take a tour of the lighthouse engine room before climbing to the top; you might even see some puffins while you’re there! 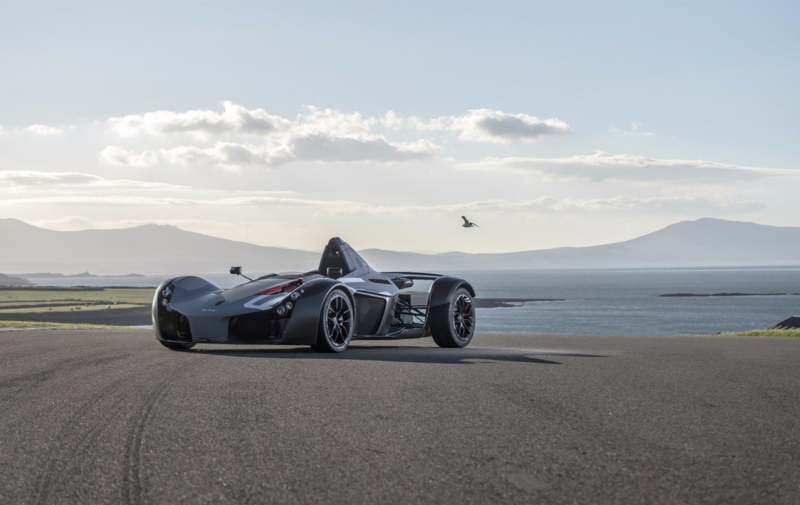 Set on the west coast of Anglesey, Anglesey Circuit provides visitors with a challenging and exciting circuit in a breathtaking location. Whether you want to watch one of the amazing events or experience the track for yourself, it makes a perfect day out. 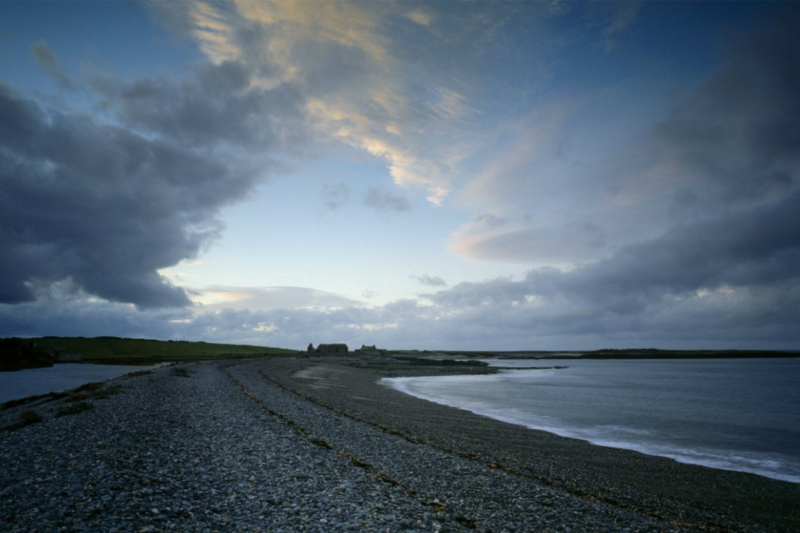 The enchanting curved bay is unique with its shingle ridge, known as Esgair Cemlyn, which divides the open sea from a saline coastal lagoon. In summer the lagoon provides a sanctuary for its famous tern colony so make sure to get your binoculars at the ready. 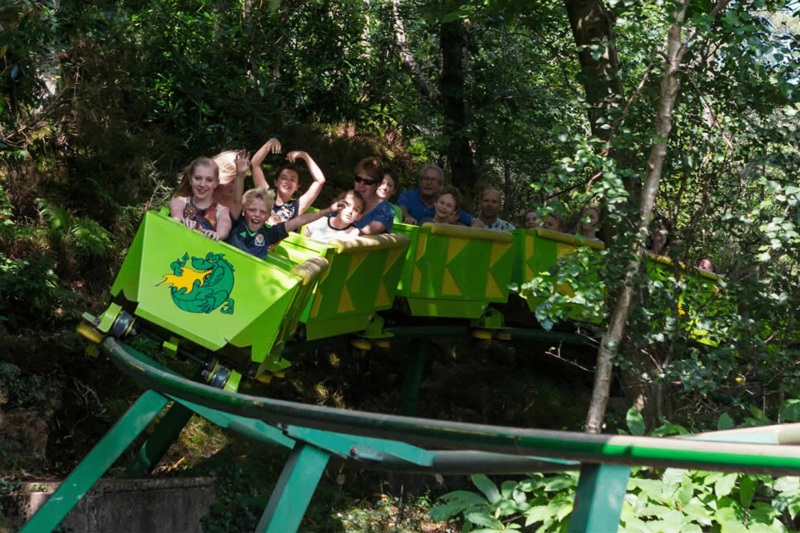 Voted the best family day out in North Wales, Greenwood Family Park is full of action and adventure for the whole family to enjoy. You can even grab yourself a season pass so you can go back as many times as you’d like throughout the year. 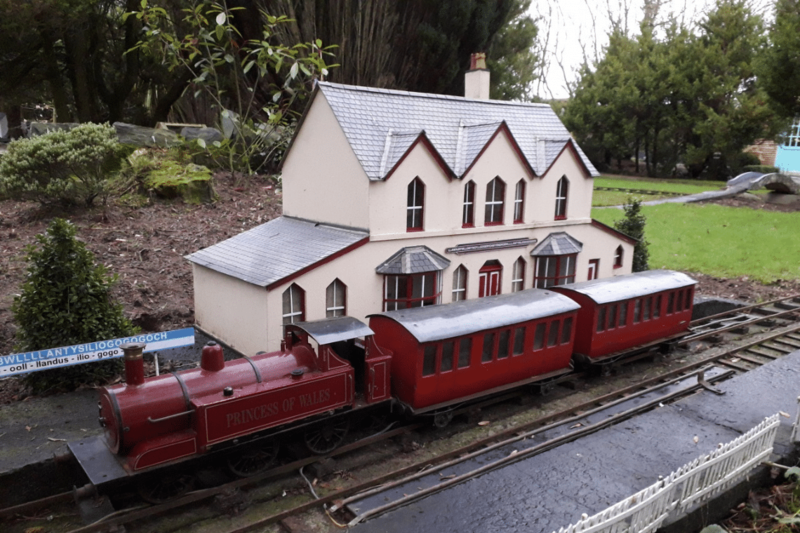 Newly opened in 2019, step into the tiny world of Anglesey Model Village featuring all the famous landmarks and features of the island. 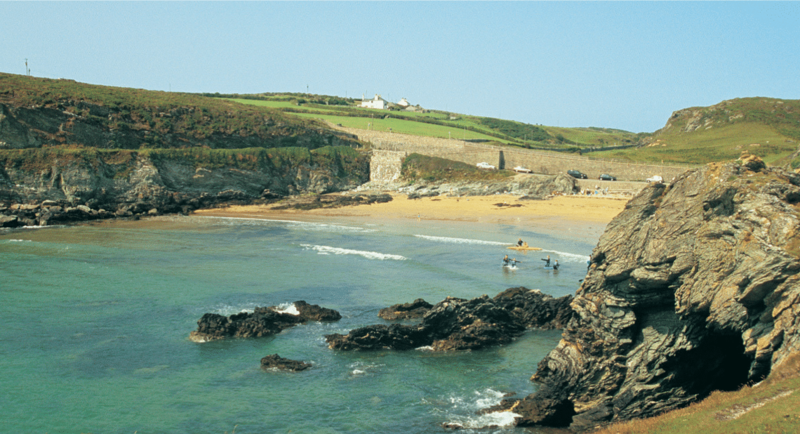 Set in an area of outstanding natural beauty, it’s a great place to relax and play. Plus there’s a lovely cafe to enjoy a cuppa or bite to eat. Located on Parys Mountain, one of the highest points on Anglesey, the Grade II listed Parys Mountain Windmill was formerly used to pump water out of the copper mine. The windmill has been an empty shell since 1929 and is definitely worth a visit. 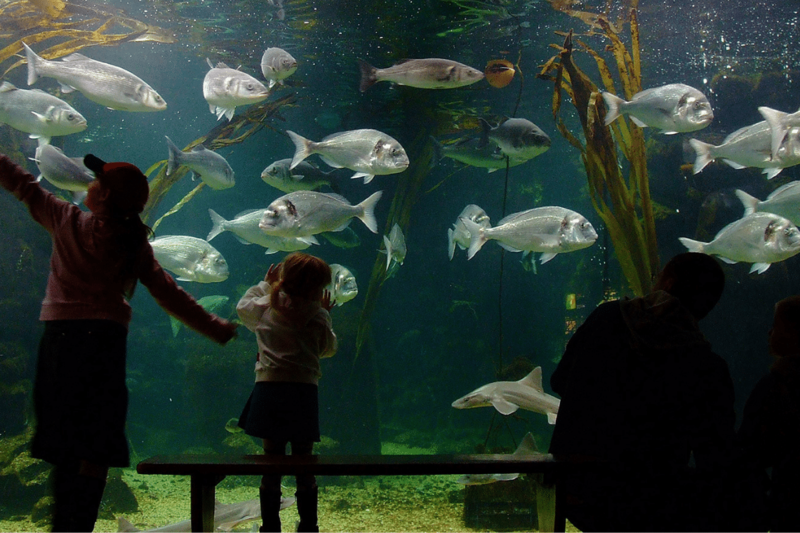 Anglesey Sea Zoo features over 40 tanks displaying the best of British marine wildlife, from octopuses and lobsters to seahorses and catsharks. Learn about British marine habitats as well as the research and conservation work that is helping to save them. 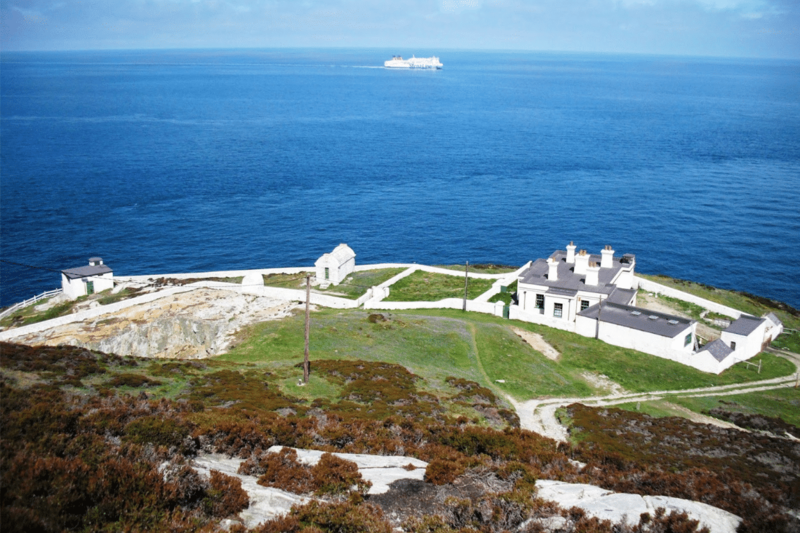 Located in the picturesque fishing harbour of Amlwch Port, the award winning Copper Kingdom tells the tale of copper mining from its discovery in 1768 to the present day. Family friendly and wheelchair accessible, Copper Kingdom is perfect for everyone. 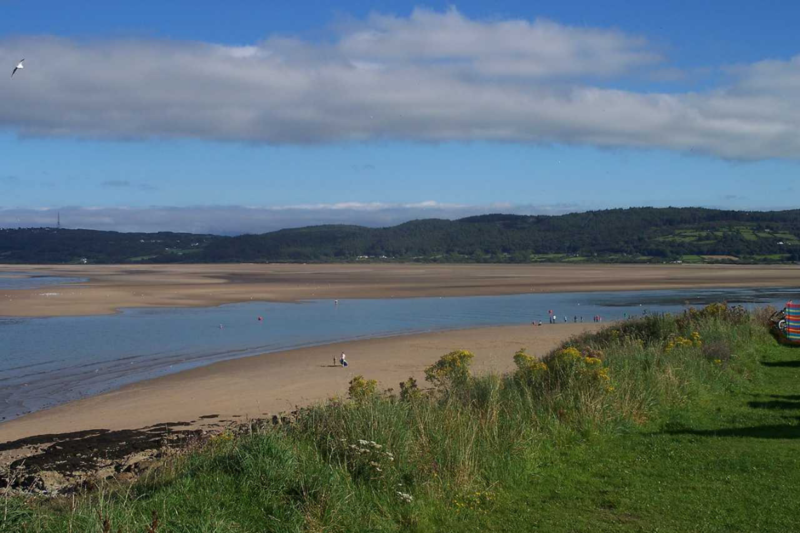 Once an important port, Red Wharf Bay lies on the east coast of Anglesey between the villages of Pentraeth and Benllech. The sandy beach stretches 2.5 miles from a tower of limestone called Castell Mawr down to Bwrdd Arthur. 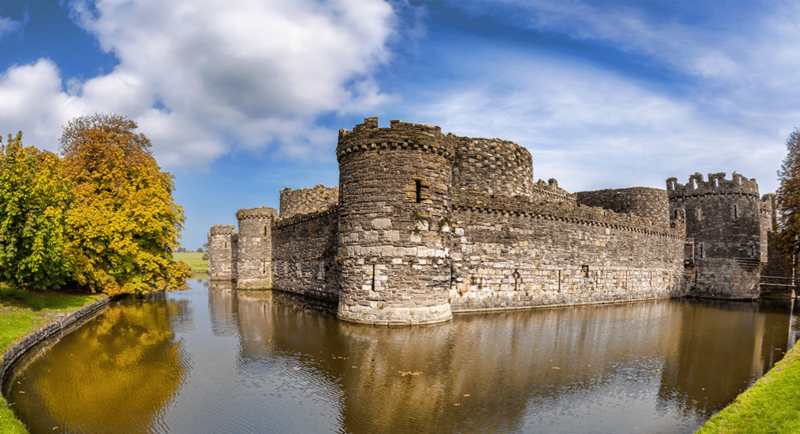 Regarded as the finest of all the Edwardian castles in Wales, Beaumaris Castle is an unfinished masterpiece worth seeing. As well as taking in the stunning architecture, the castle also has great views of the mountains and sea. 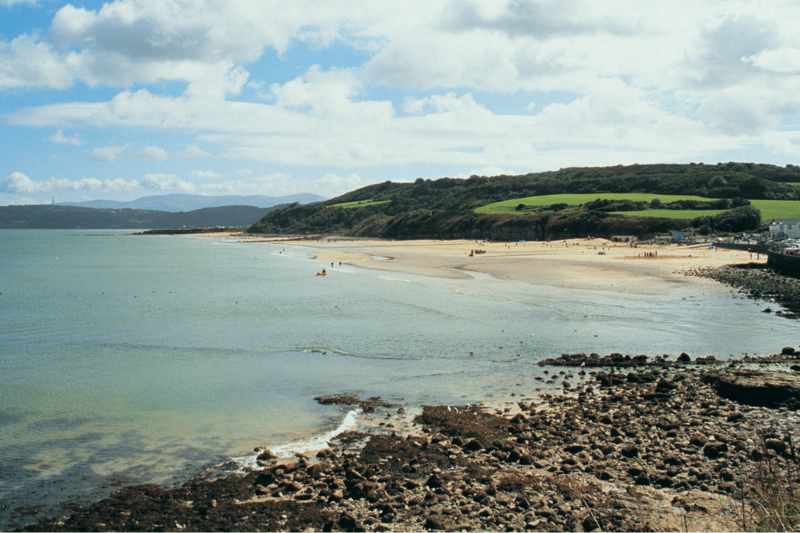 One of the most popular beaches on Anglesey, Benllech Beach has fine golden sand and clear blue waters. 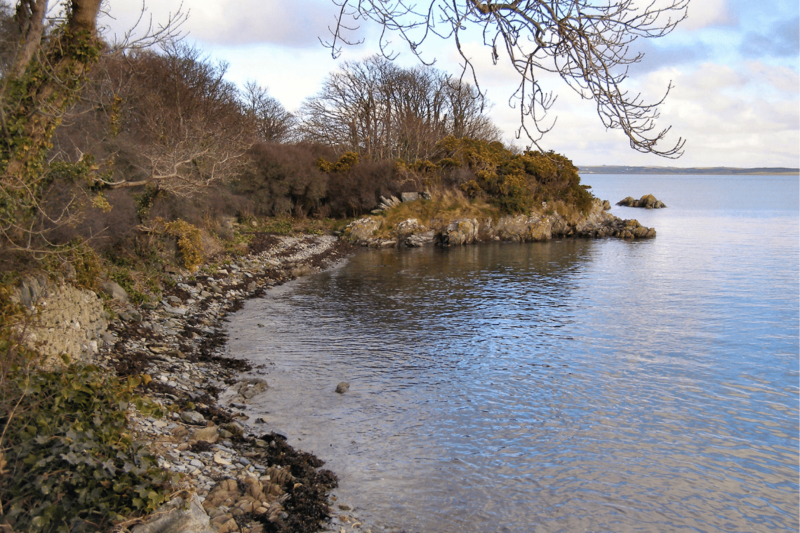 A great place for a paddle and a stroll if you fancy a change of scenery from Silver Bay beach. 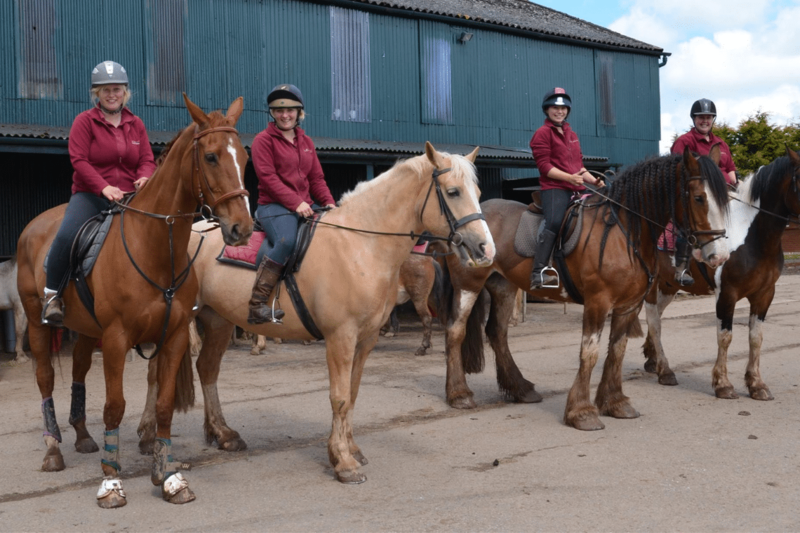 Set alongside the beautiful Menai Straits, Anglesey Riding Centre features five miles of private bridleways that are perfect for those that are completely new to riding as well as the more experienced rider. 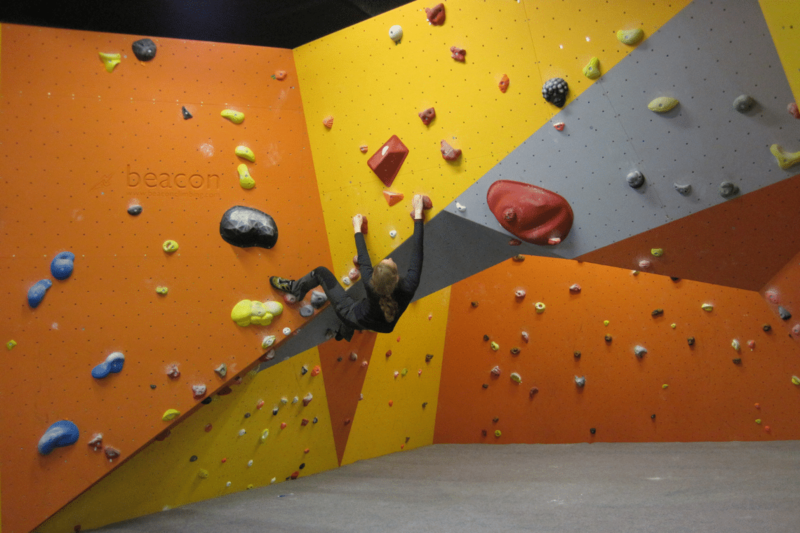 Beacon Climbing Centre is the largest indoor climbing centre in North Wales and caters for all ages and levels of experience. Don’t fancy climbing? Take a seat in the cafe located above the climbing walls and watch the action from the comfort of your seat. 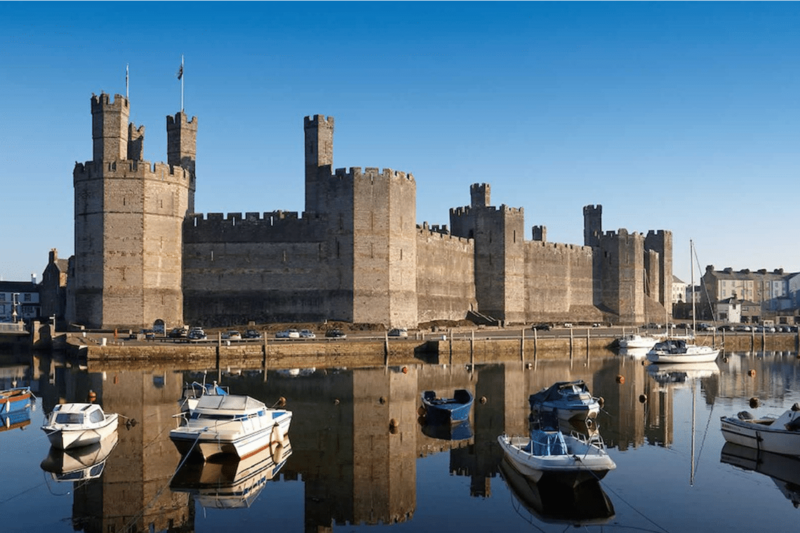 Located at the southern end of the Menai Strait, the medieval Caernarfon Castle is a World Heritage Site and its impressive architecture is definitely worth a visit. Step through its imposing walls and learn about the history of Caernarfon. 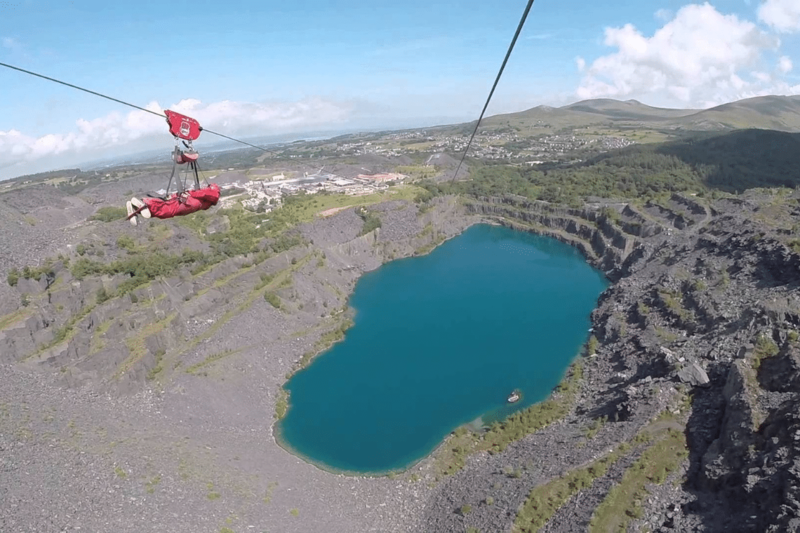 Penrhyn Slate Quarry is home to Zip World Velocity 2, the fastest zip line in the world and the longest in Europe. Take on Velocity 2 yourself, take a tour of the quarry on one of the famous red trucks or watch the zippers flying by from the restaurant. Journey to the summit of Snowdon, the highest mountain in England and Wales, on one of the most unique railway journeys in the world. 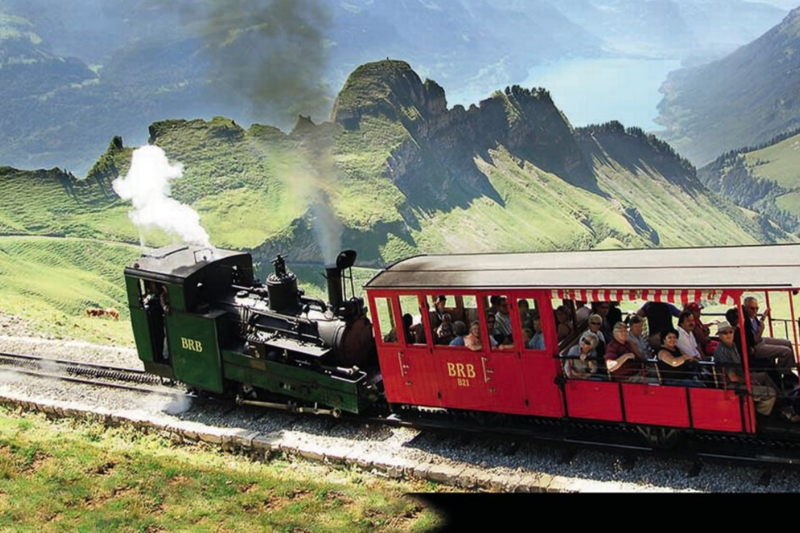 Take in the stunning scenery and awe inspiring views on a great day out for the whole family. The gritty, dark stoned fortress of Conwy Castle still casts a powerful spell over those who visit it. 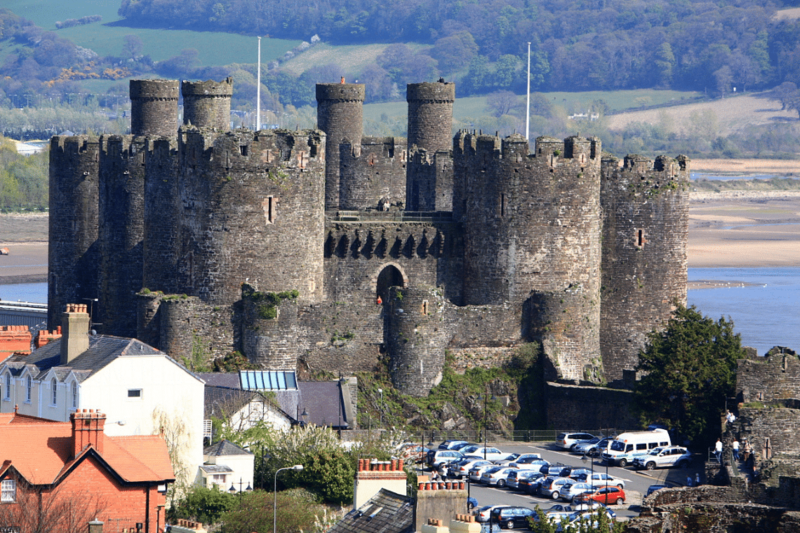 Head up to the battlements and take in the breathtaking views of the mountains and sea as well as Conwy itself and the town walls that surround it. 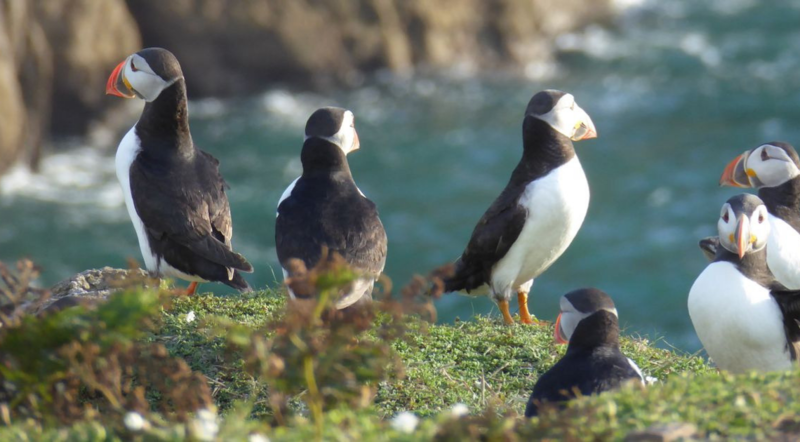 Puffin Island lies off the coast of Anglesey and is home to at least ten different species of seabird. It isn’t possible to go on the island itself but the best way to see it is by taking a boat trip around the island with boat operators offering rides throughout summer. 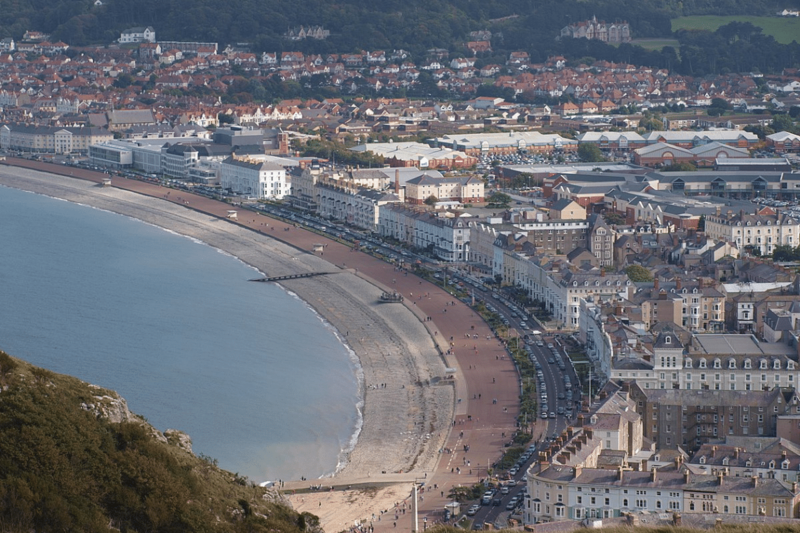 Llandudno is the perfect location if you’re looking for a classic seaside town. 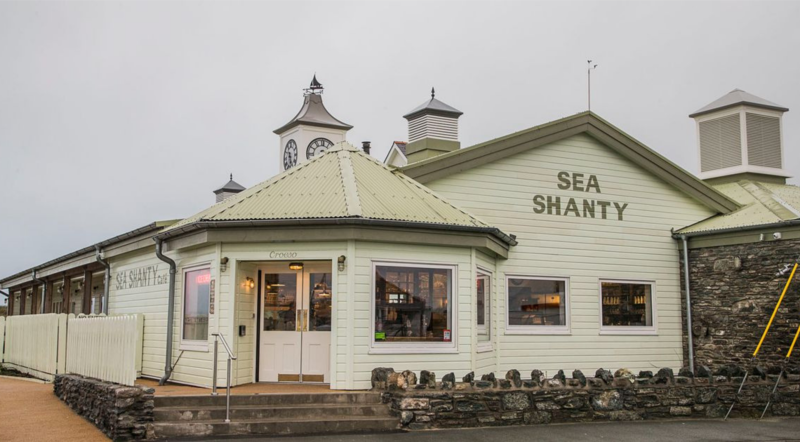 The immaculate seafront is framed by two headlands and offers attractions suitable for the whole family, from the cafes and amusements on the pier to the Great Orme Country Park. 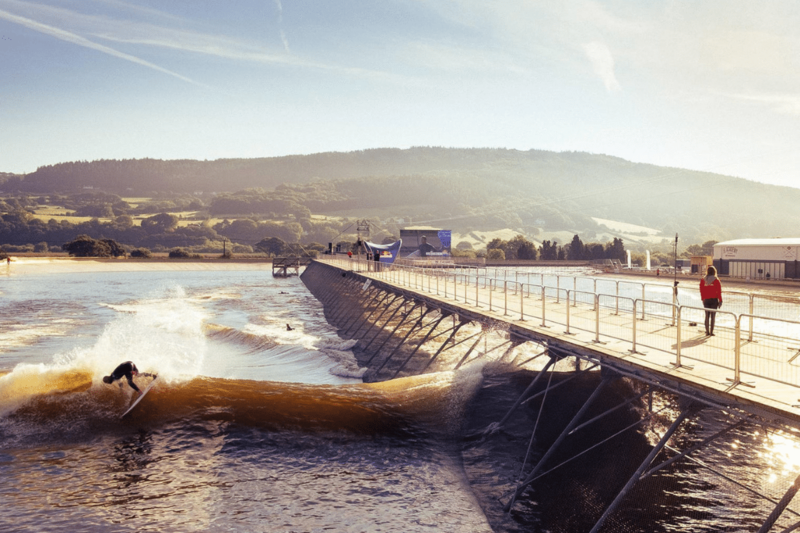 Set in the heart of beautiful North Wales, Surf Snowdonia is the perfect environment to learn how to surf, fast track your skills or just have fun on your board. The man-made waves are designed for all levels, from beginner to advanced. Glasfryn Parc is a fun-filled day out for the whole family. From go karting, crazy golf and ten pin bowling to wakeboarding, kayaking and coarse fishing, plus many more, there’s sure to be an activity to suit everyone. 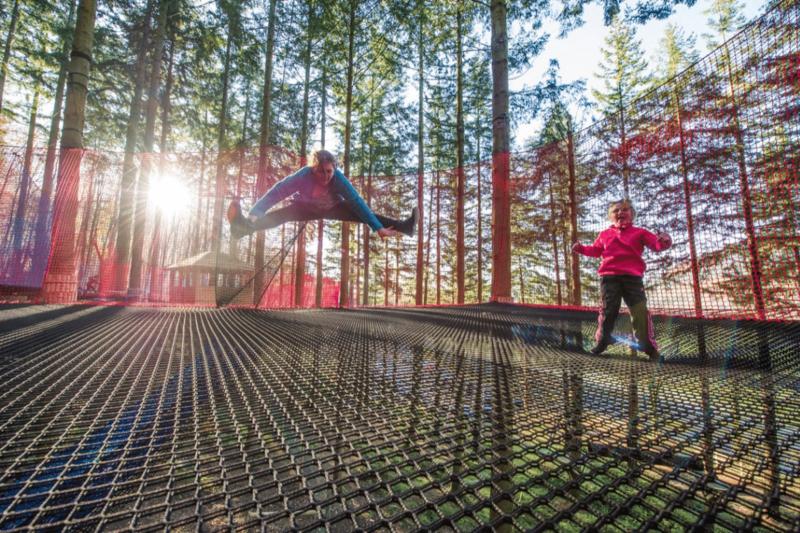 Located in a stunning woodland setting in the Conwy Valley, Zip World Fforest has adventures to keep the whole family busy. Choose from the Fforest Coaster, the Tree Hoppers, Zip Safari or Skyride, Europe’s highest giant swing! 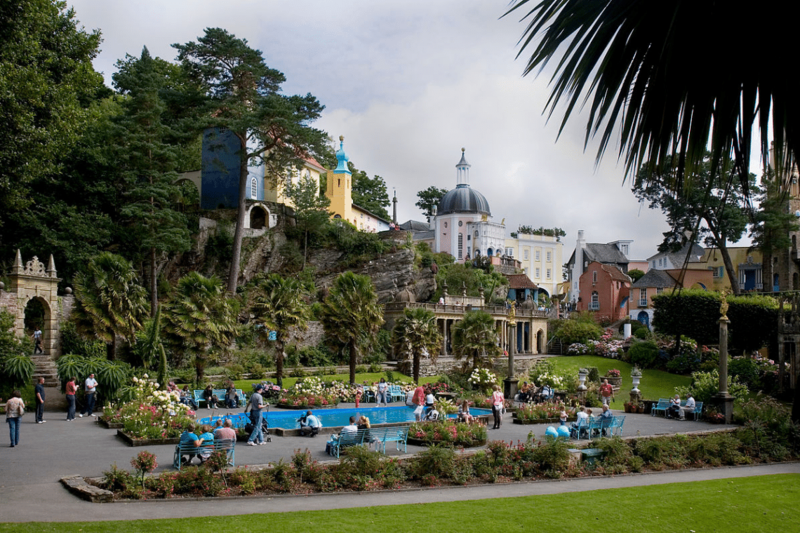 Portmeirion Village is home to two hotels, a cluster of historic cottages, iconic architecture, a spa, stylish shops, award-winning restaurants, casual cafes, an Italian ice cream parlour, exotic gardens and sandy beaches. What more could you want! 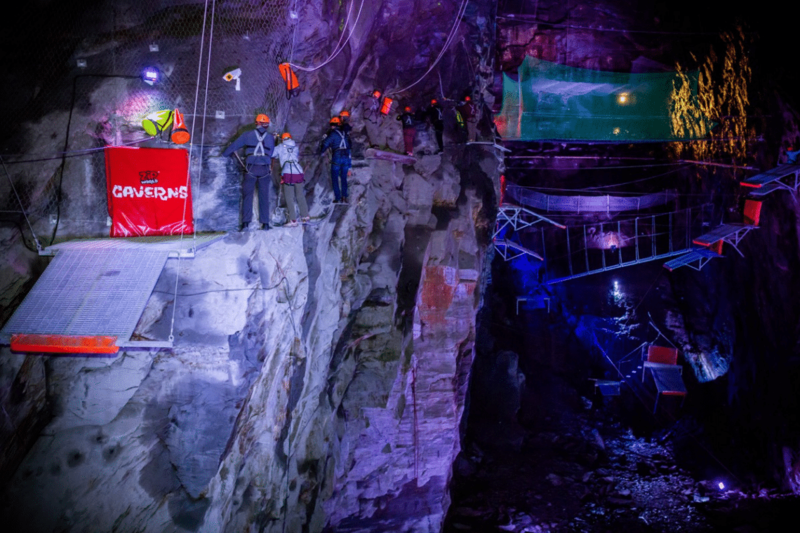 From Titan, the first four-person zip line in Europe, to Bounce Below, the only subterranean playground of its kind, and the Zip World Caverns, there’s sure to be something to suit everyone. If you’re looking for more fun things to do in North Wales, why not check out our 2019 events calendar for some more inspiration. 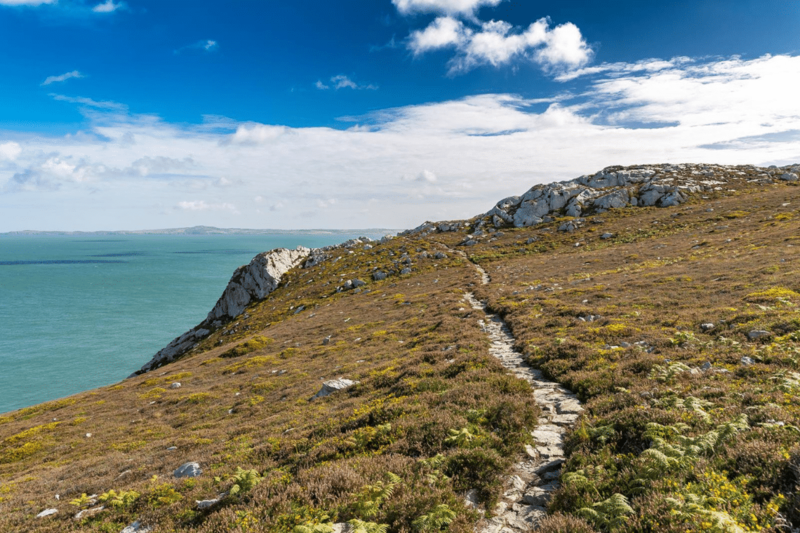 If being in the great outdoors and pushing yourself to the limit is your thing then there’s nowhere better than Anglesey. 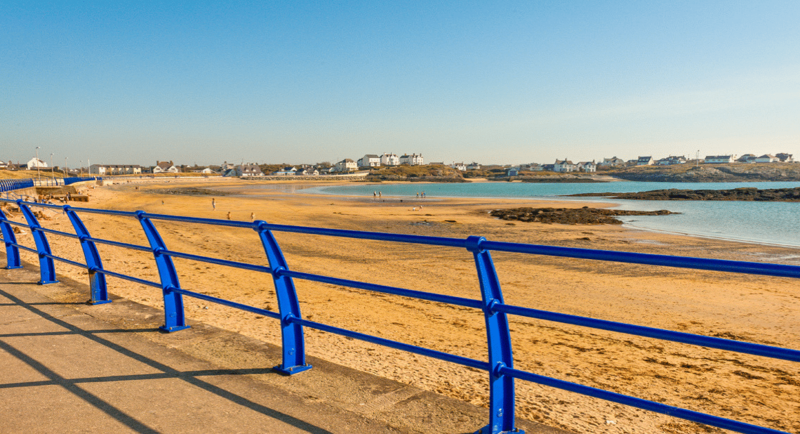 With Anglesey half marathons, triathlons and cycling events taking place throughout the year, you’ll be spoilt for choice. 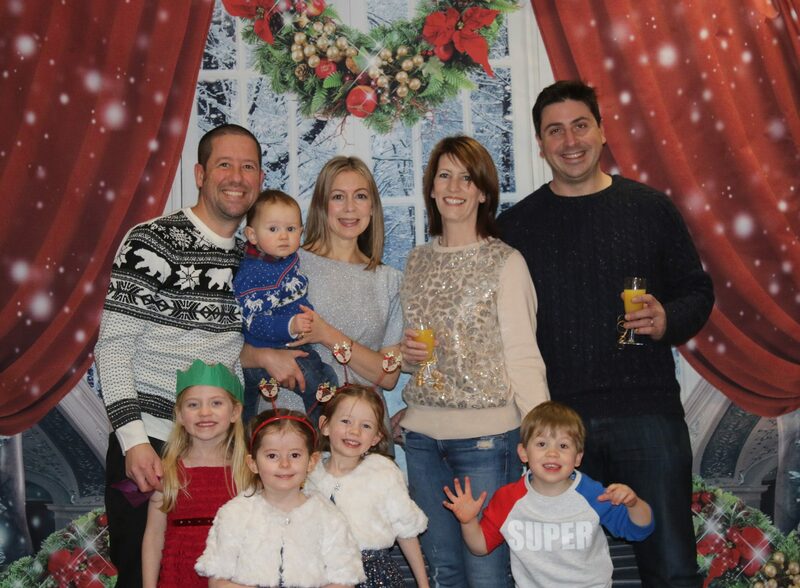 This year we’ve partnered with Always Aim High Events to offer all our holiday home owners 10% off registration fees. Keep reading to find out about the different events taking place throughout the year. Kicking off the year on Sunday 3rd March is the Anglesey Half Marathon and 10K. 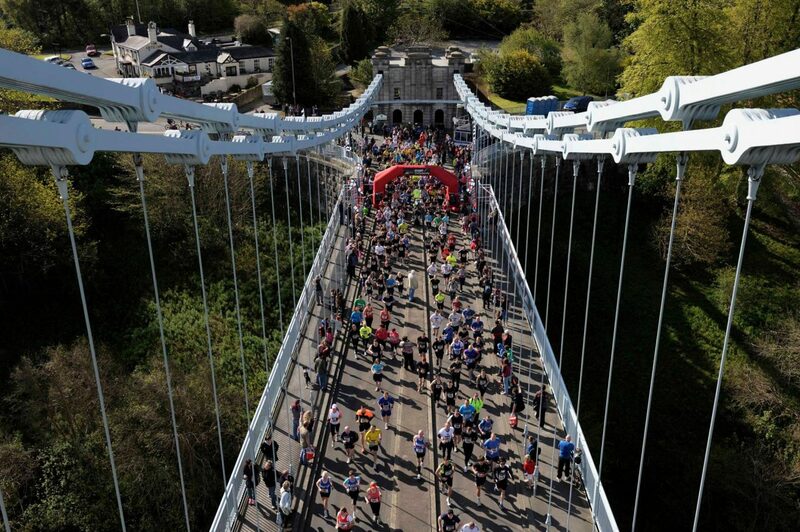 The marathon starts off on the Menai Suspension Bridge, flowing downhill through Menai Bridge town centre, along the winding roads to Beaumaris and back to the centre of Menai Bridge. 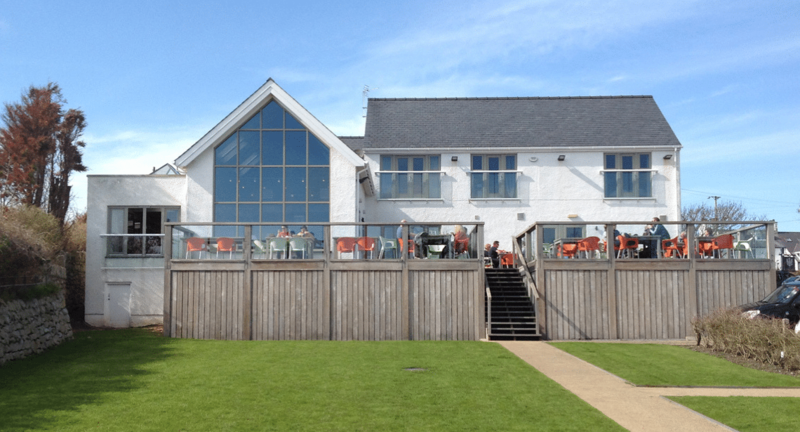 All of this is accompanied with amazing views of the Snowdonia National Park. Brand new for 2019 is the Conwy Marathon, taking place on Sunday 31st March. This new route will take runners around the Great Orme, the Conwy Castle World Heritage Site, to the beautiful Colwyn Bay Promenade and doubling back along the beach back to Llandudno. Also brand new for 2019 is the Anglesey Trail Half Marathon, taking place Sunday 2nd June and set in the beautiful surroundings of Newborough Forest. Take it up a notch and explore the trails of Snowdonia National Park with the Snowdonia Trail Marathon, taking place on Sunday 14th July. With the option to do a trail marathon, ultra marathon, half marathon and 10K, there’s an event to suit every level of fitness. On Sunday 14th April, Always Aim High welcome the Harlech Triathlon, one of the best loved events on the triathlon calendar. The Harlech Triathlon is followed up by the Slateman Triathlon. 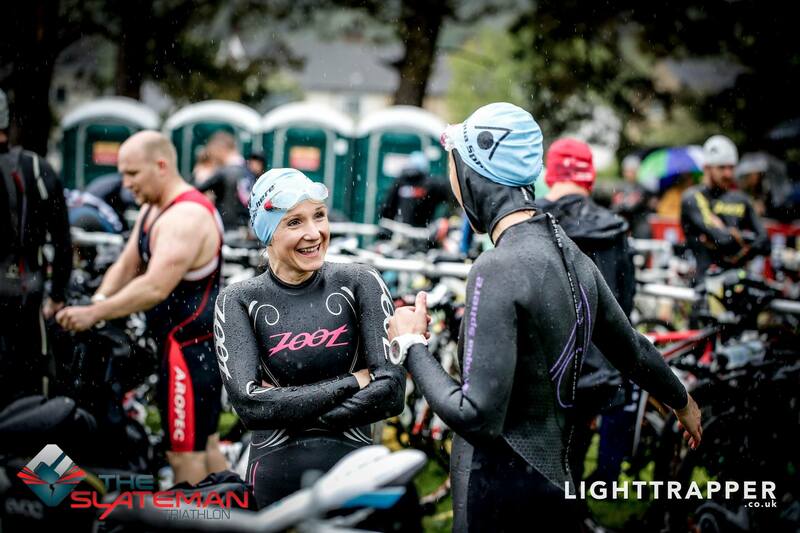 Delivered over the 18th and 19th May, the triathlon features a swim surrounded by mountains, a bike course in the heart of Snowdonia National Park and a run through a slate quarry. Located in the iconic Cardiff Bay and taking place over the 22nd and 23rd of June, the Cardiff Triathlon is one of the most unforgettable city races on the calendar. In July is the Snowman Triathlon, one of the toughest triathlons in the UK. The triathlon runs across the 27th and 28th July and offers something for everyone. Finishing off the year of triathlons is the Sandman Triathlon on the 14th and 15th September, starting and finishing in Newborough Forest and offering something for all abilities. If you want to see the sights of Anglesey while riding a bike then the Tour de Mon on Sunday 18th August is perfect. 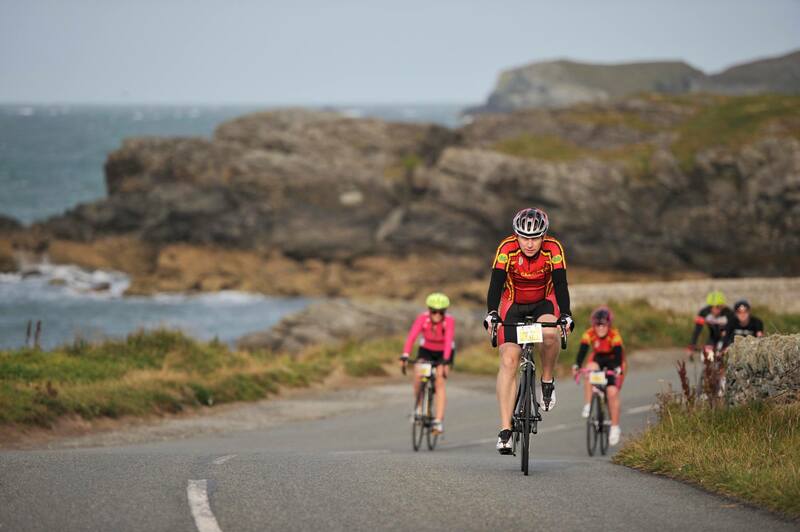 In 2018 the sportive welcomed over 1,000 cyclists and hopes to see more this year to explore the most beautiful and iconic locations on this amazing island. Or if swimming is more your thing then why not sign up for the Aqua Sphere Snowman Swim, taking place on Saturday 27th July. The event offers the opportunity to experience an open water swim in the stunning Llynnau Mymbyr in the heart of Snowdonia National Park. 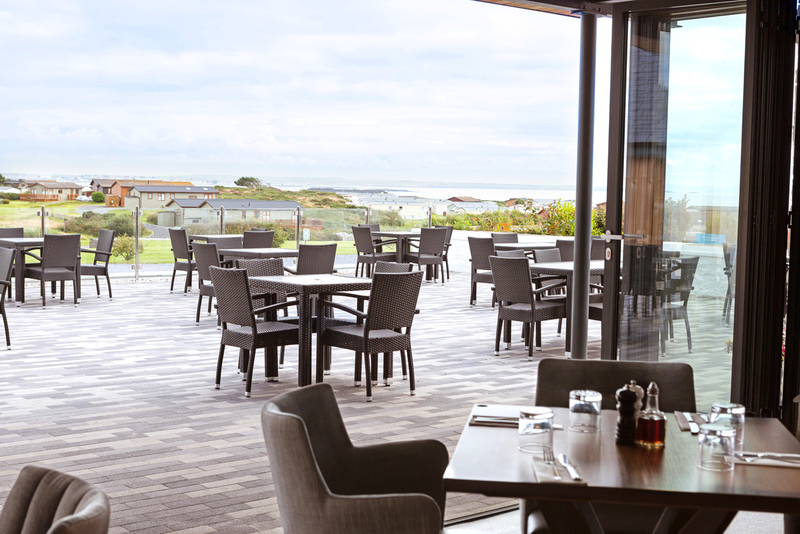 With so many events to choose from we’re sure there’ll be one to suit you. 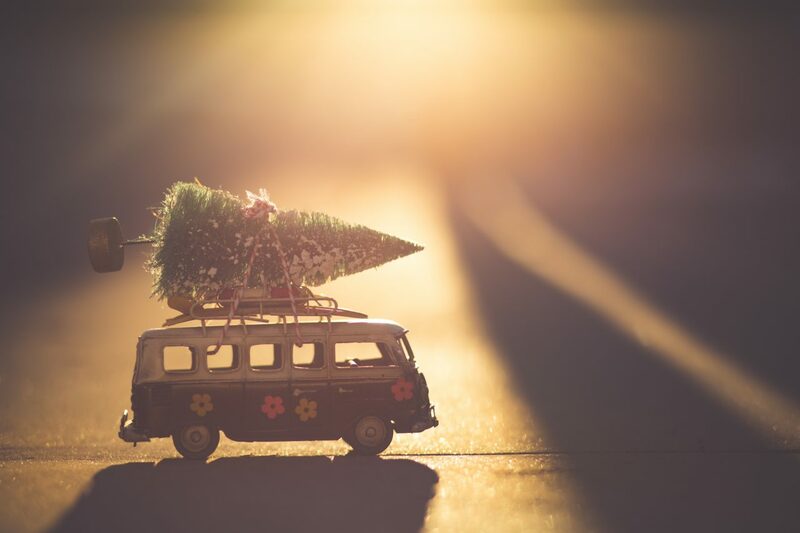 If you’d like to see what else is coming up in the local area you can take a look at our 2019 events calendar here. 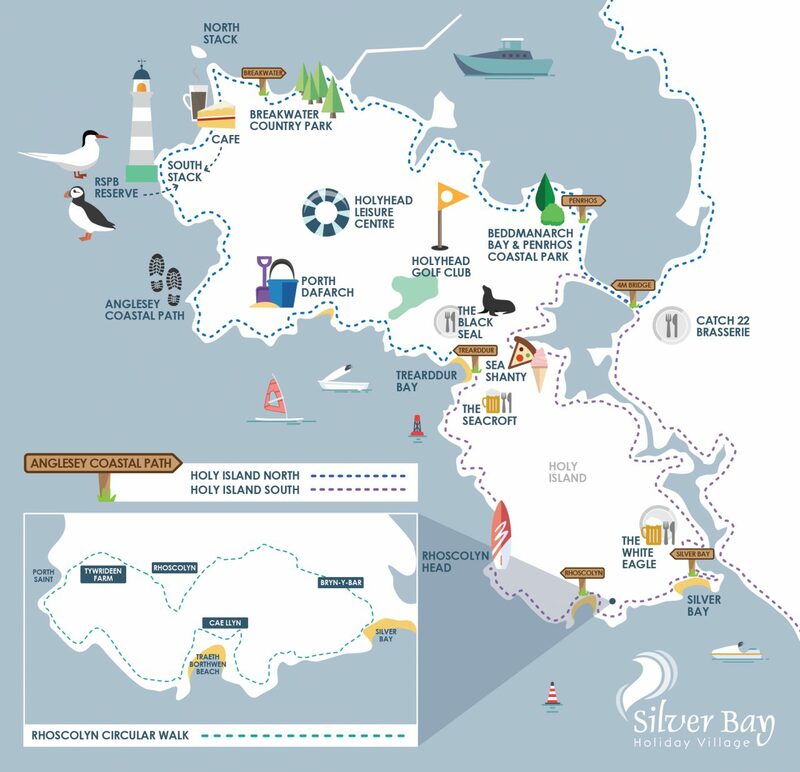 Want to find out more about Silver Bay Holiday Village? 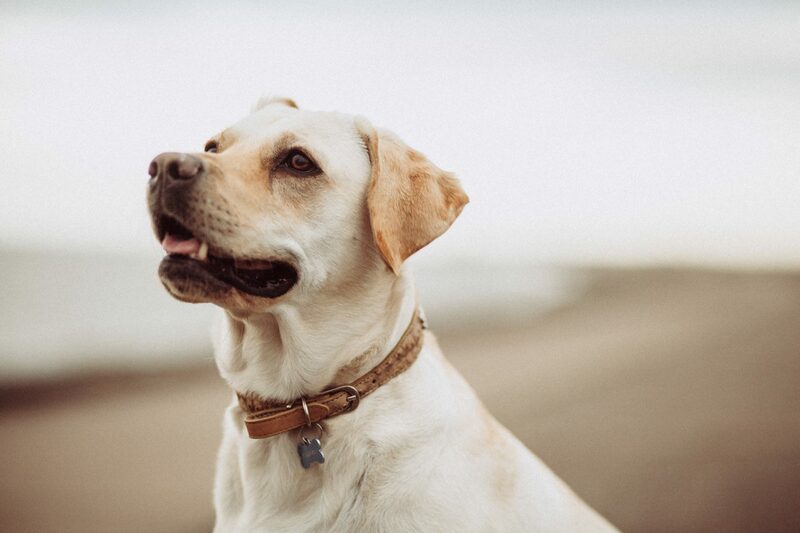 You can take a look at our brochure here or, if you’d like to have a chat, you can request a callback and a member of our friendly sales team will be in touch. The new year is always a great time to look at what’s coming up in the year and plan what events you’re going to attend. 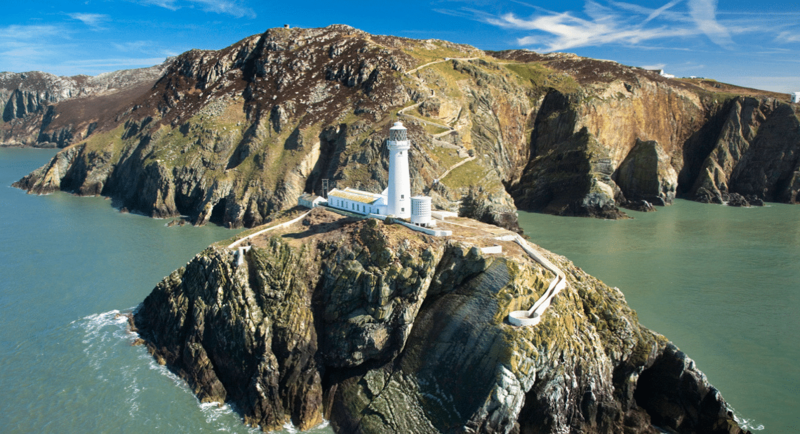 Anglesey is full of great events; from nature and wildlife walks to marathons and food festivals, there’s something for everyone, but it can be difficult finding them all and when they’re taking place. 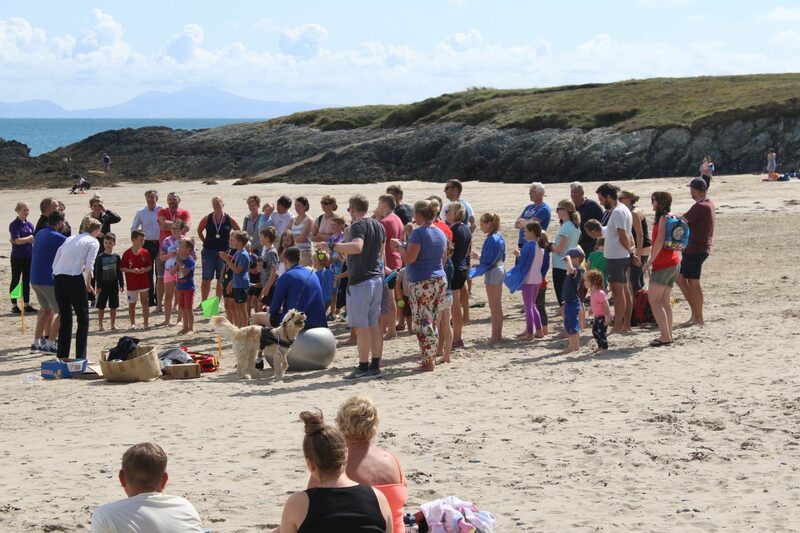 That’s why we’ve put together a calendar so you know exactly what’s on in Anglesey and when. Take a look at our events calendar by clicking on the link or image below and keep reading for more information. Anglesey is home to many red squirrels and they continue to be a focus of conservation to increase the population. Want to find out how the red squirrels are getting on? 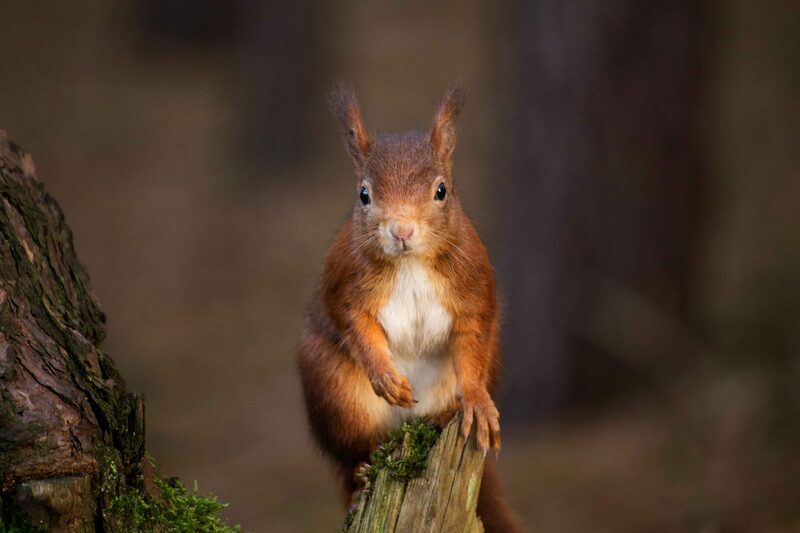 Join North Wales Wildlife Trust on Friday 15th February for the red squirrel update. Or maybe you’re looking for something more active in February? Why not give winter sea kayaking a go at the Kayak Essentials Essential Frostbite Weekend, taking place 16th to 17th February. If you own a motorbike and you’re looking to get out on a track with it then the No Limits Track Days would be perfect for you. Taking place on the 2nd March and various other dates throughout the year, satisfy your need for speed and take your bike for a spin with experienced instructors. If beer’s more your thing then why not join the Anglesey Ale Trail on Saturday 30th March and 7th September and pay a visit to some of the most superb real ale pubs on Anglesey. 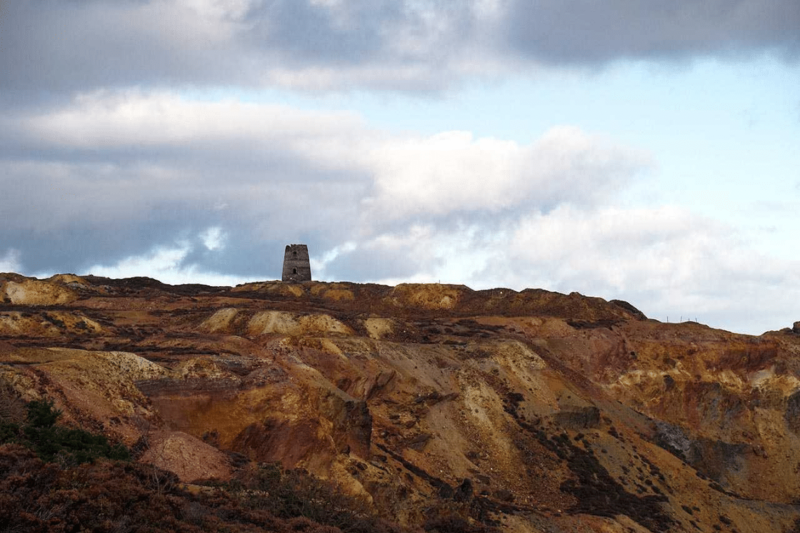 Start the month off with a walk around Parys Mountain on Saturday 6th April and take in the colours and landscapes of the abandoned copper mine. Get ready for spring on the 19th to 21st April with the Kayak Essentials Spring Essentials Coaching Weekend where you can join excellent coaches to develop your skills in dynamic water. 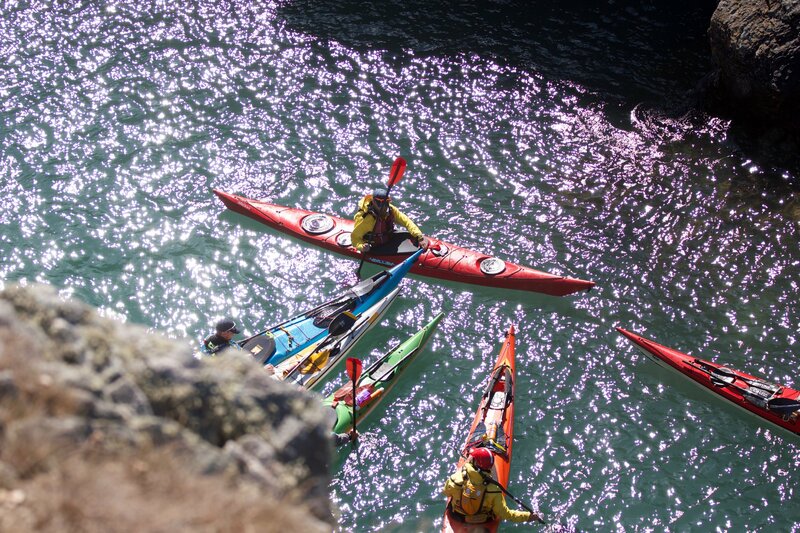 From the 4th to the 10th of May, Anglesey welcomes back the Sea Kayak Symposium where you can meet and greet and share practical tips with people in the know. 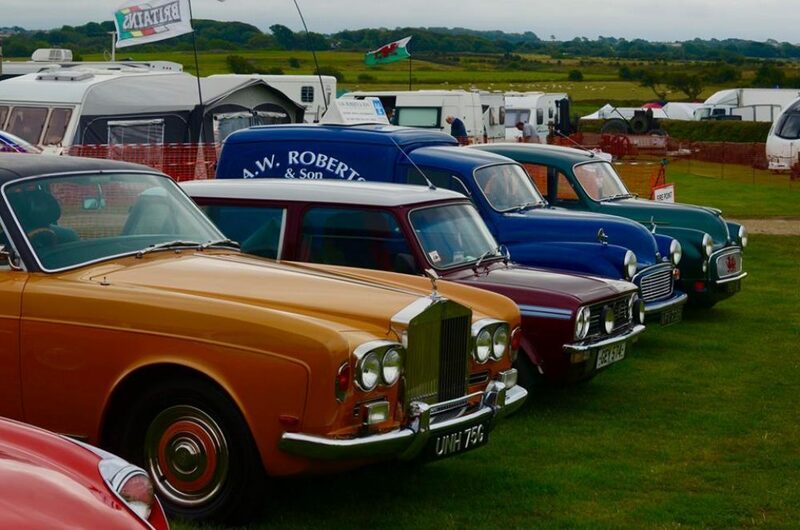 On the 18th and 19th May head to the Anglesey Agricultural Showground for the Anglesey Vintage Rally 2019, now in its 35th year, and marvel at the vintage machines and artefacts. 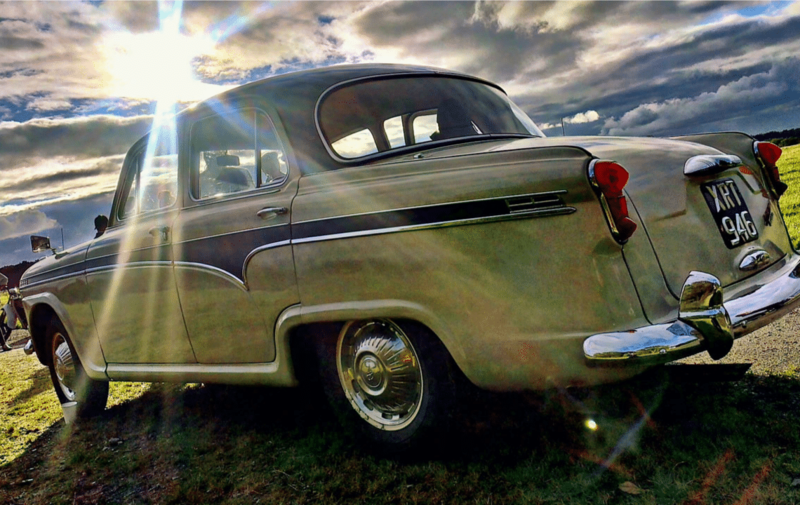 If you’re looking to pick up a vintage treasure for yourself, head to the Mona Showground for the Anglesey Antiques Fair on the 25th and 26th May at the Mona Showground, also taking place on the 19th and 20th of October. Also that weekend, on the 26th May, is the Great Strait Raft Run, held annually on the Menai Strait. If you’re a foodie or just a lover of food and drink then make sure to put the Anglesey Food Festival in your calendar; taking place on the 30th May to 1st June at the Anglesey Showground. Also that weekend is the All Wales Boat and Leisure Show which has a huge range of exhibits, events and activities where you can have a go too. 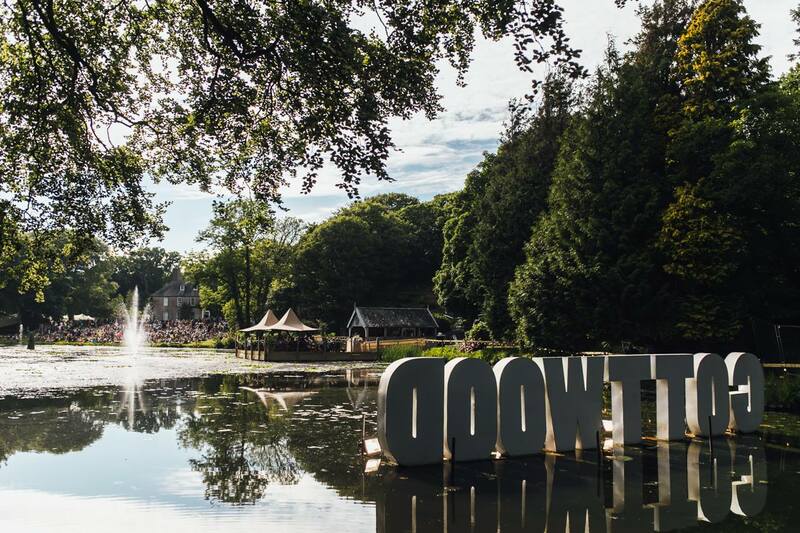 For all you music lovers out there make sure to get your ticket for Gottwood Festival, taking place 6th – 9th June, now in its 10th year. Or if you’re looking for a different type of weekend there’s also the Kayak Essentials Essential Women’s Sea Kayak weekend taking place 7th – 9th June. 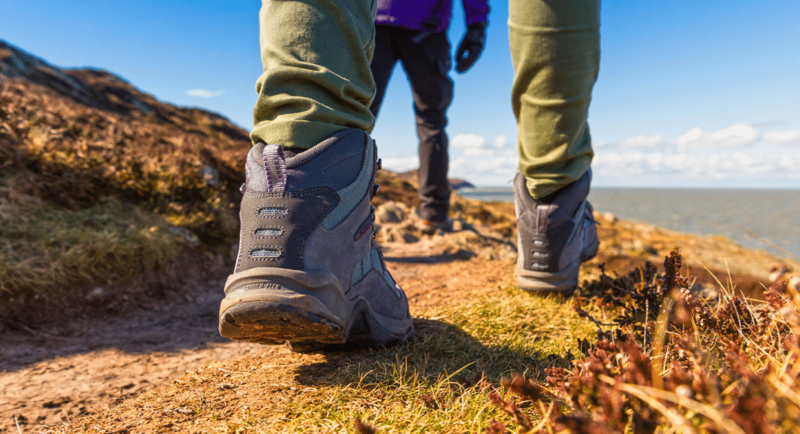 At the end of the month there’s the Snowdonia Challenge, a three day walking challenge which is the only event of its kind in the UK, get your walking shoes at the ready! 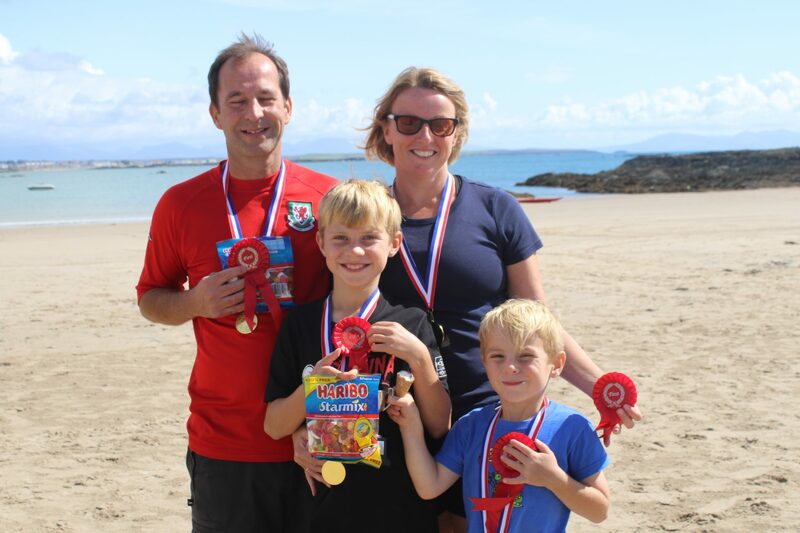 On the 28th July is the Anglesey Offshore Dinghy Race, the North West’s premier offshore dinghy race covering over 15 nautical miles around the South East coast of Anglesey. 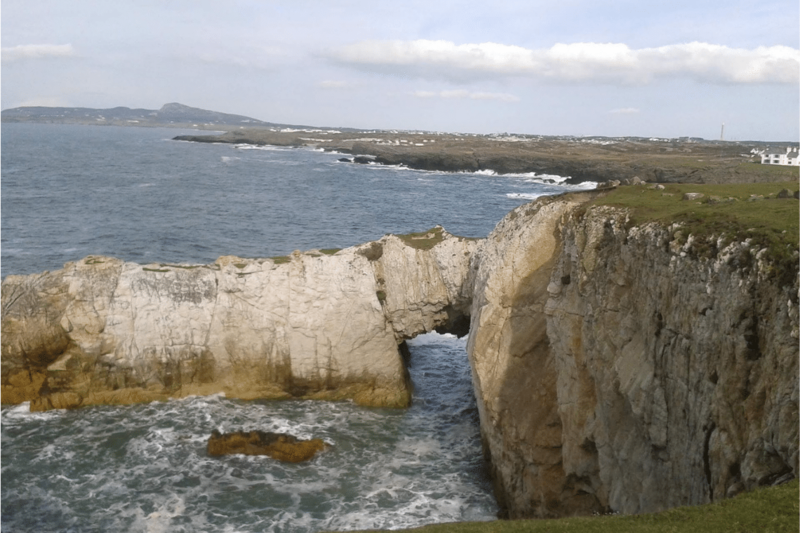 August kicks off with the Cybi Coastal Marathon on Saturday 3rd August, circumnavigating Ynys Cybi on the Welsh national coastal footpath and Anglesey coastal path. Then from the 5th to the 17th you can enjoy the Menai Strait Regattas; watch classic boats, cruisers and dinghies race on the Menai Strait. On the 13th and 14th the Anglesey Show returns once again with animal and livestock exhibitions, arts and crafts, food stalls and much more. New to Anglesey is the Internationwool Festival, taking place 24th – 26th August to bring together artisans and wool lovers from across the globe. Also taking place that weekend is round 6 of the Thundersport GB Championships so make sure to get your ticket if you’re looking to get your motorbike racing fix. At the end of the month the famous Ring O’ Fire returns, taking runners on a 135 mile journey around Anglesey. On the 1st of September you can take on the rugged and beautiful coastline of Holy Island at Love SwimRun. Or take on the water at the Kayak Essentials Essential Sea Kayak Coaching Festival, perfect for those looking to develop their sea kayaking skills. 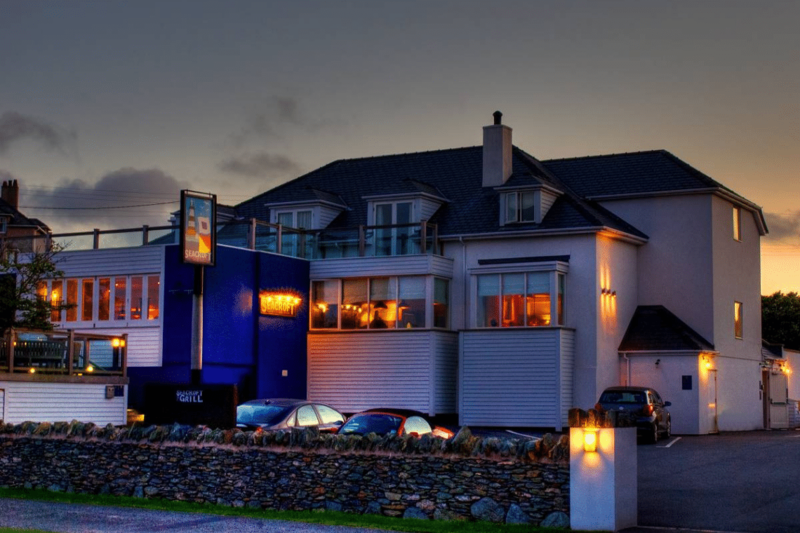 On the 4th of November head to Trearddur Bay Hotel for the bonfire and firework display raising money for Cancer Research UK appeal; gates open at 6pm with the bonfire being lit at 6:30pm and fireworks starting at 7pm. 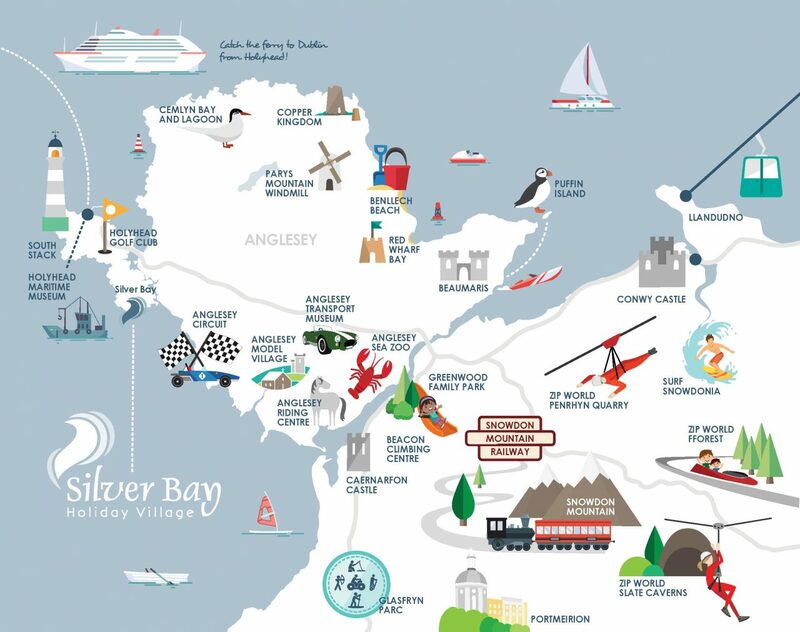 Whether you’re looking to get active or raise money for a cause close to your heart, Always Aim High offer all sorts of amazing events across Wales, and in 2019 they’re offering 10% off registration for all Silver Bay holiday home owners! If you’re a holiday home owner here at Silver Bay, make sure to keep an eye out for emails from us to find out how to claim your discount. 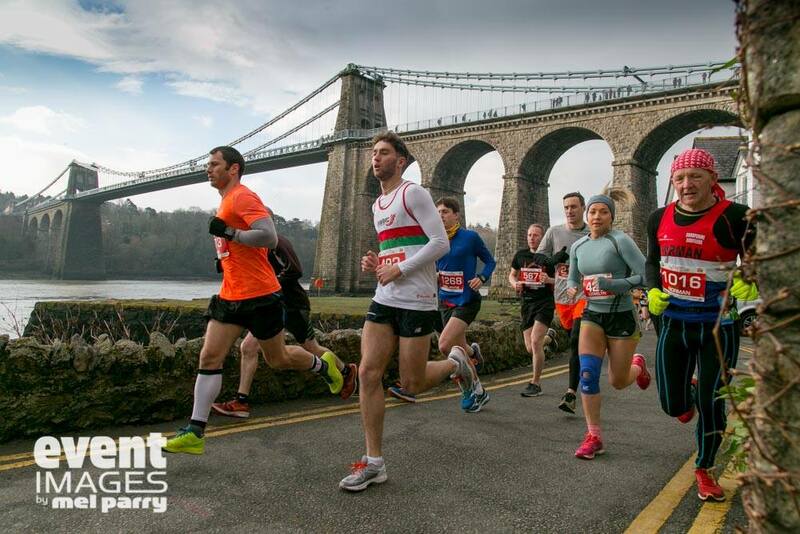 On the 3rd of March the events kick off with the Jones Crisps Anglesey Half Marathon and 10K, one of the most beautiful marathon routes in the UK and starting on the iconic Menai Suspension Bridge. Then on the 31st March is the Conwy Marathon, brand new for 2019 and offering a 26 mile route on the stunning Conwy coastline. If they’re not convenient or you want to take part in even more, there’s also the Anglesey Trail Half Marathon on the 2nd June. On the 14th July you can explore the trails, panoramic views and tough climbs of Snowdonia National Park in the Snowdonia Trail Marathon. 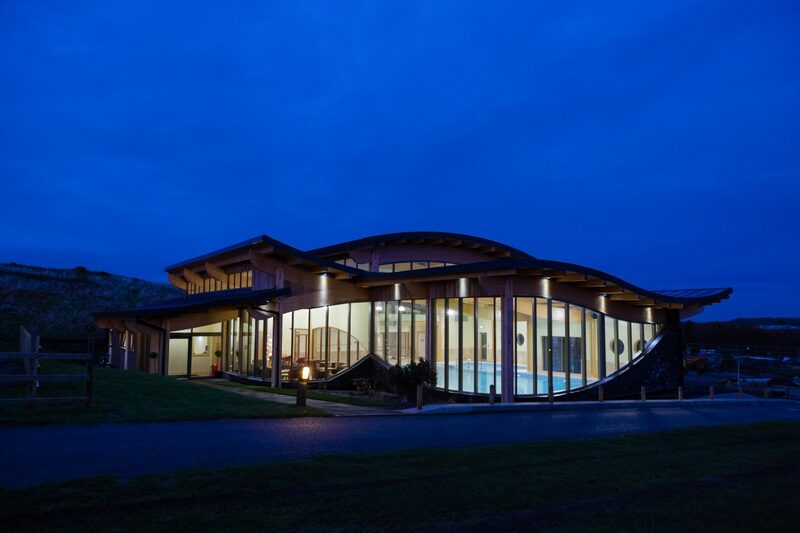 If swimming’s more your thing why not take part in the Aqua Sphere Snowman Swim and experience an incredible open swim in the heart of the Snowdonia National Park. Or if you’re a keen cyclist, why not give the Tour de Mon a go on the 18th August. If you’re looking to push yourself even further and combine running, swimming and cycling, why not get involved with a triathlon, starting with the Harlech Triathlon on the 14th April. Or there’s the Slateman Triathlon, taking place on the 18th and 19th May. 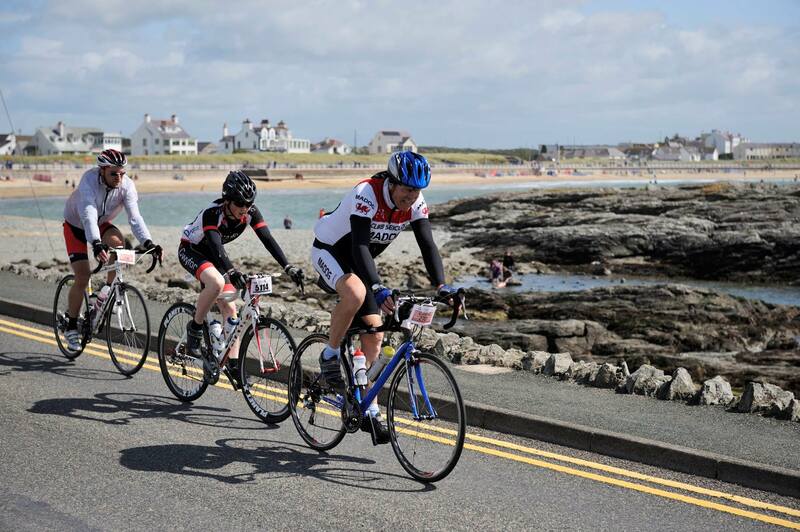 If you want to venture further out of Anglesey, there’s also the Cardiff Triathlon on 22nd and 23rd of June. Feeling ready to take on the toughest triathlon in the UK? Sign up for the Snowman Triathlon, taking place on the 27th and 28th of July. If you want to complete all of the Always Aim High SUUNTO Adventure Series then make sure to sign up for the Superfeet Sandman Triathlon on the 14th and 15th September. We hope you found something interesting and we’ll be sure to keep our calendar updated as new events come up so make sure to keep checking back. Interested in life at Silver Bay? 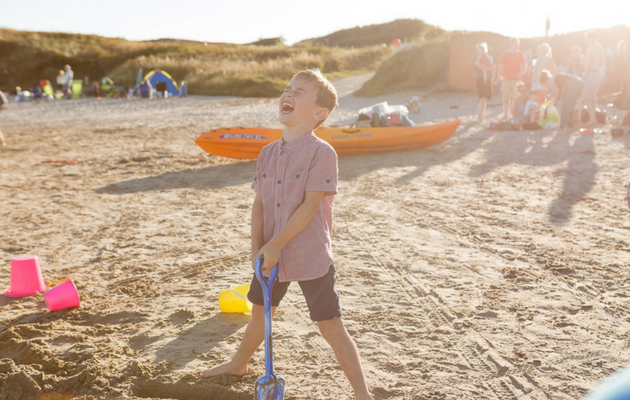 Download our brochure here to find out about our different holiday homes and facilities or request a callback to speak to us further. 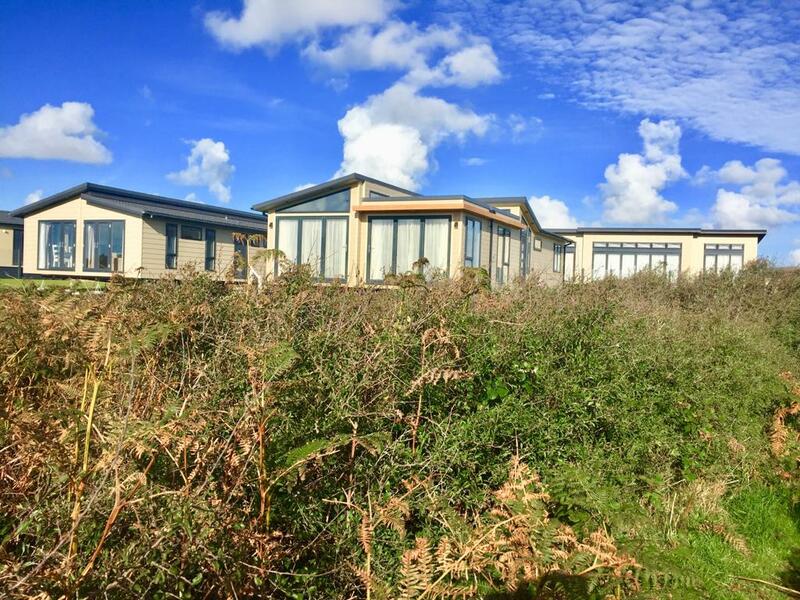 On Sunday 28th October we’ll be opening our gates again for our October Open Day so you can take a look around our luxury holiday lodges and facilities. Keep reading to find out more and how to attend. Our new lodge development, Bay View, is now complete and we still have some amazing lodges available to view. All the plots on Bay View are south-facing with breathtaking views of the Llyn Peninsula and Snowdonia and they’re all just a short walk to Silver Bay beach. The development is fully landscaped and each plot has a hard-standing parking area plus fabulous decking with glazed viewing panels so you can sit outside and make the most of those amazing views. 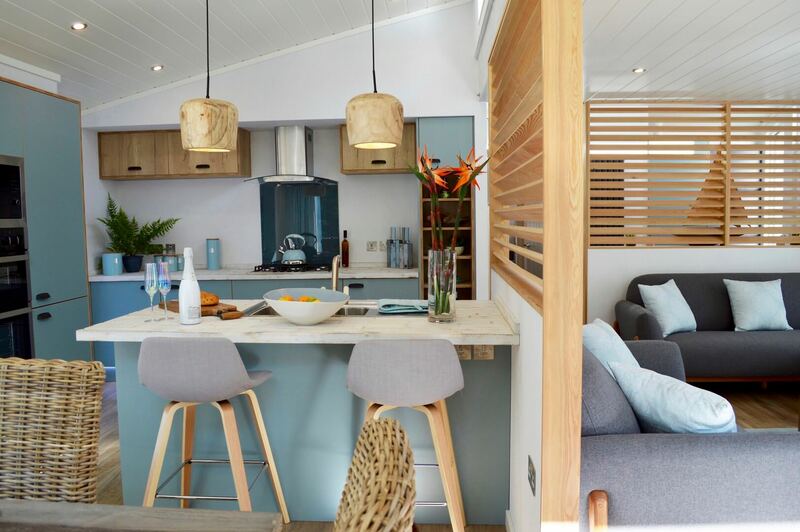 One of the brand new lodges to view on Bay View, The Oceania is inspired by the diverse architecture and design found on the Oceanic islands of Micronesia, Polynesia and Fiji. The lodge has hand-split driftwood features throughout and larchwood louvres to separate the living area. You’ll also find two sets of bi-folding doors across the front of the lodge so you can let that fresh Anglesey air in. 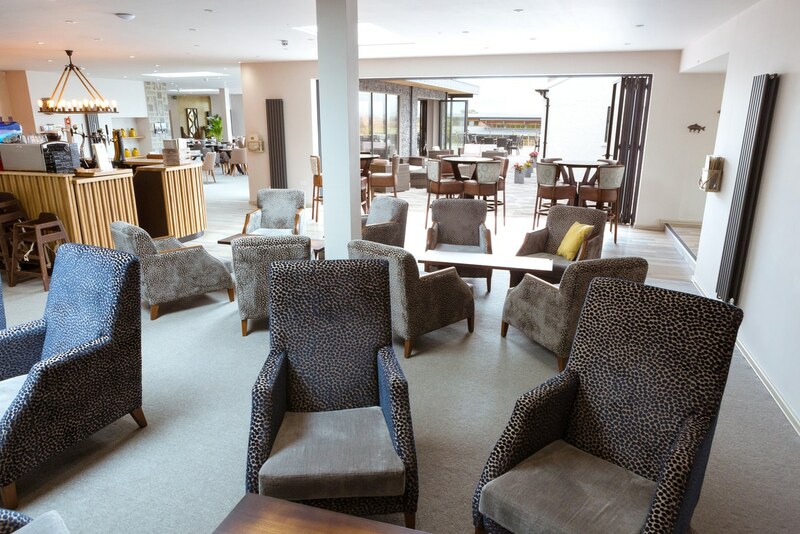 From our spa and leisure complex to The Deck House restaurant, we have some amazing facilities to make your time at Silver Bay even more enjoyable. 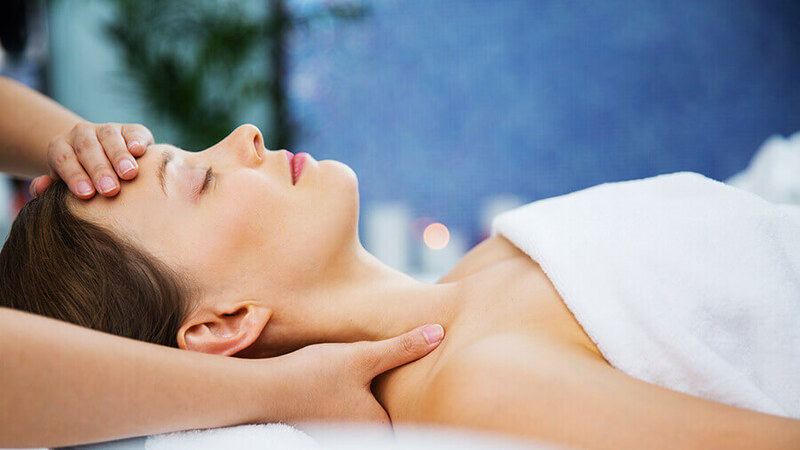 Take a dip in the indoor heated pool or book a treatment at The Spa at Silver Bay and then enjoy a delicious meal with views of the bay at The Deck House. 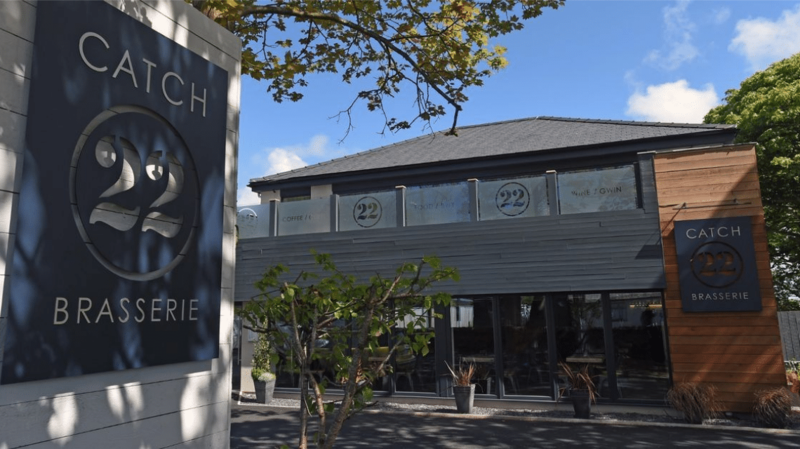 On Sunday 28th October we’ll be open from 12pm to 4pm with some fizz and nibbles and an opportunity to take a look around our holiday lodges, spa and leisure complex and The Deck House restaurant. There’s no need to book, just turn up on the day! 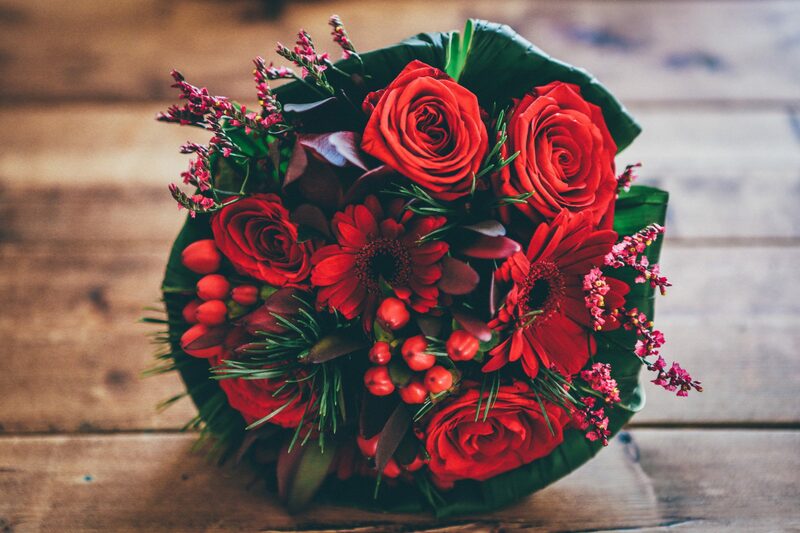 However, if you would like some more information beforehand or can’t make the date you can get in touch via our contact form or, if you’d like to arrange a call, you can request a callback and a member of our friendly team will be in touch. We’re sure you’ve had time to get back into the swing of things after the summer holidays so we thought it was time to round up all our fantastic events from this summer and what a summer it’s been! We kicked off the summer holidays in style with our owner’s exclusive summer party. For the little ones we had some amazing entertainment, including a return visit from Mr Trix the clown and Ella from Frozen, and finished the night with dancing and music from the fabulous Treasure. The fun didn’t stop there! We also had a disco at the beginning of August and a casino and disco towards the end of August. The casino was a great success and it looked like you all had a great time, we hope you kept your photobooth pictures courtesy of Event Lounge. 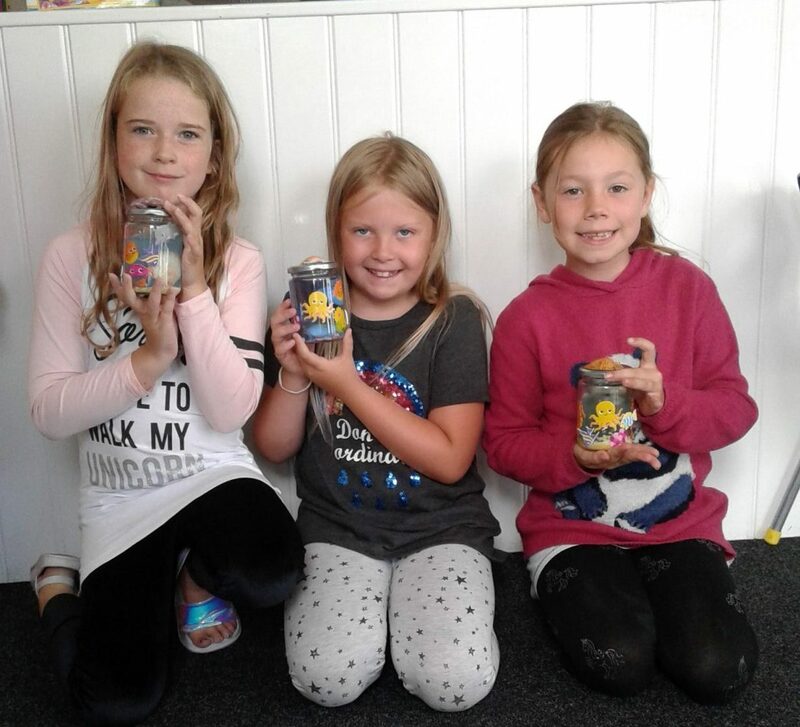 We had all sorts of creative activities for our Busy Bayers during the summer holidays, from making a mini aquarium and designing a board game to creating salt dough creatures and African Art. We also welcomed some new activities to our timetable, including Welsh for beginners, first aid awareness for children and cooking skills. Our ‘Meet the Bees’ sessions were such a success over the summer that we carried them on into September; if you’re quick you may still be able to attend one of our weekend sessions taking place for the rest of the month. 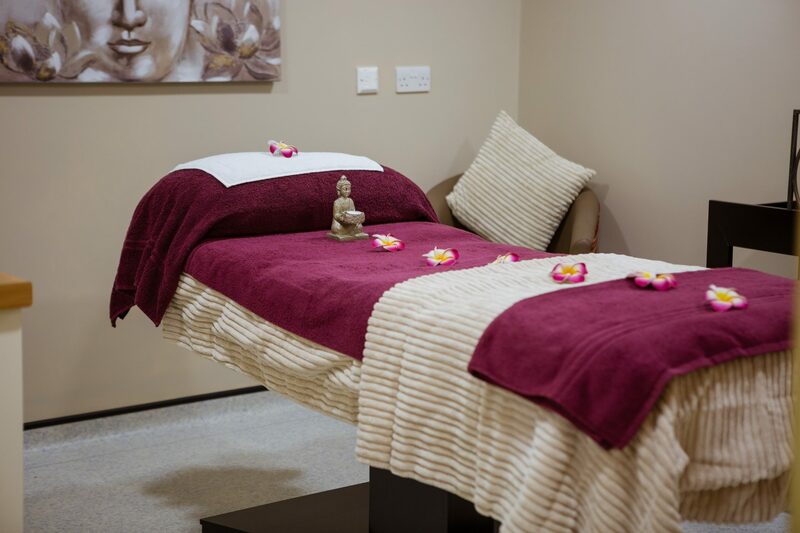 You can view the dates and times and book a session on our online booking system plus we’re also selling Silver Bay Honey from our bees, which can be purchased at the reception or spa. At the beginning of August we ran our fishing competition with all proceeds going to the RNLI. It was a great turnout and we want to thank everyone who took part; congratulations to Kevin McLean for heaviest bag, Holly Watts for being our junior winner and Gail Booth Bull Hurs for heaviest fish. This year we ran our sandcastle competition a bit differently and asked you to submit your entries online, allowing everyone to vote for their favourite sandcastle creation. Congratulations to Holly Keary for coming first place, the Andersons for coming second and Rose and Poppy Hayward for coming third. Our sandcastle competition winners were announced at Beach Mudder where owners competed once again for the Beach Mudder crown. Congratulations to Robert’s Runners for coming in first place, Pineapple Pickers for landing second place and Bates-ish Family for getting third place. With October half term just weeks away, don’t forget to keep an eye out for an update on all the activities we have planned for you. This year we’re running a children’s cake design competition, giving your little ones the opportunity to design our Halloween cake, from the decor to the filling; all they need is a blank piece of paper and a creative imagination. We’ll be judging each design based on the idea and not on the quality of the drawing. 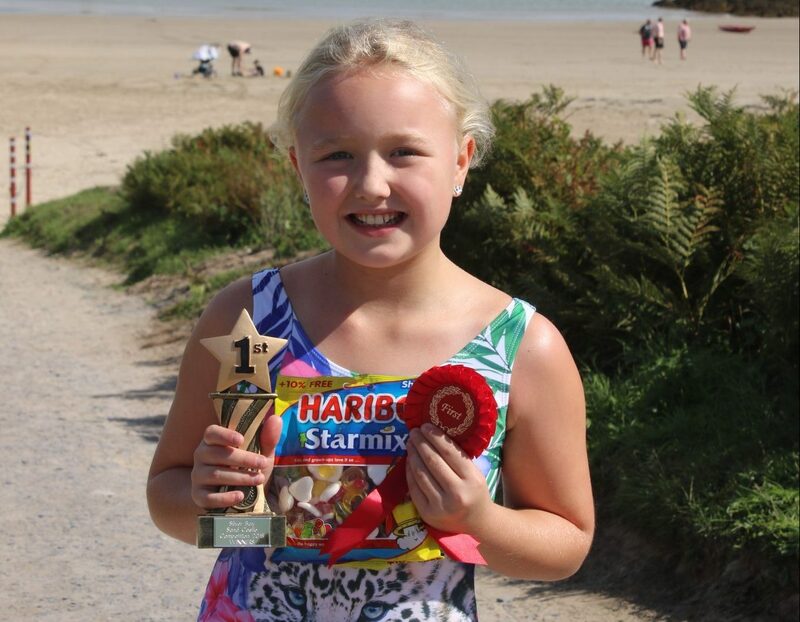 You can post your entries to Reception, Silver Bay Holiday Village, Pentre Gwyddel, Rhoscolyn, Holyhead, Anglesey LL65 2RZ or email reception@silverbay.co.uk and the winning entry will be made and revealed at our Halloween party; entries close Friday 19th October. 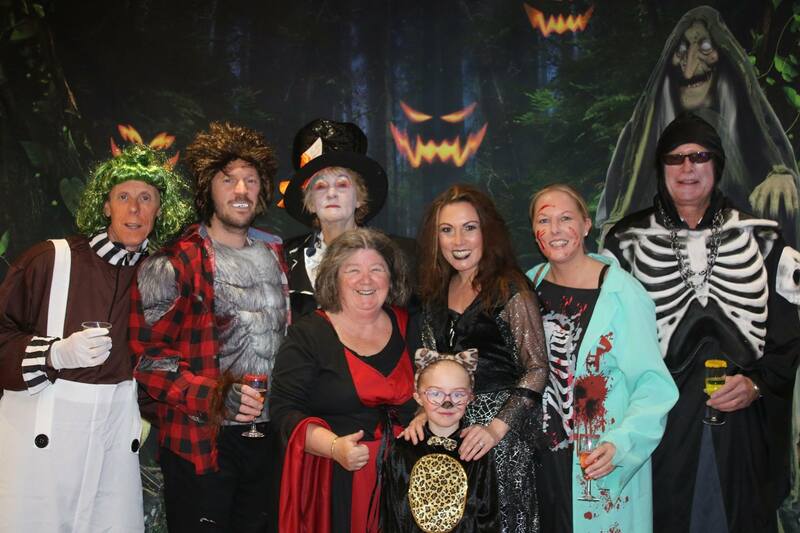 This year the Halloween party will be taking place on Saturday 27th October, you will be able to purchase tickets from our online booking system and we’ll be sure to let you know when tickets go on sale. We look forward to seeing you all back here!